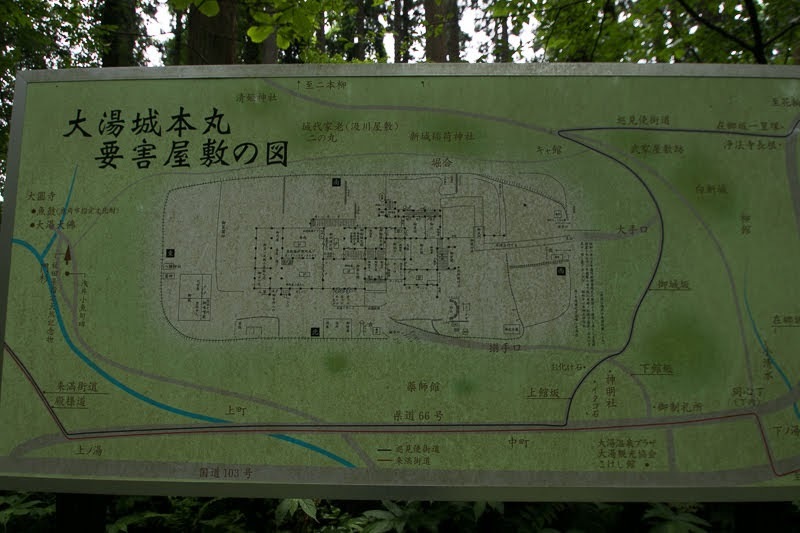 Oyu castle (大湯館) is located utilizing the edge of river terrace of Oyugawa river, at the south of current Oyu town. 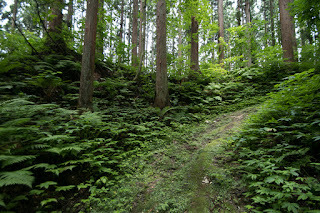 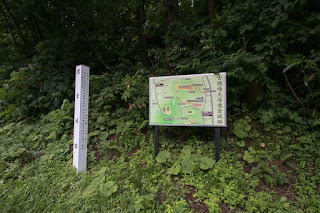 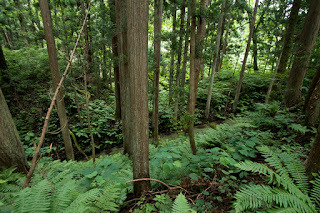 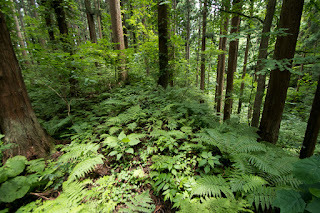 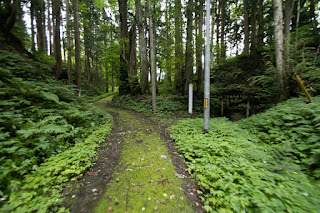 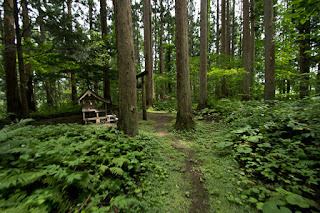 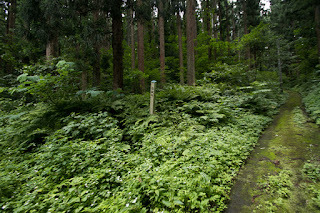 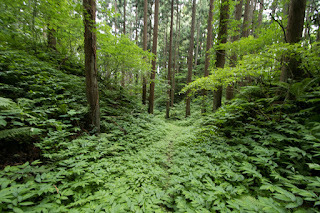 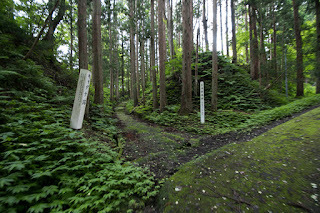 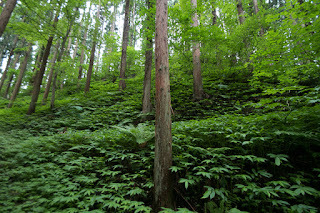 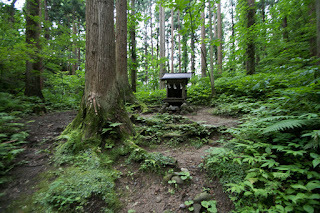 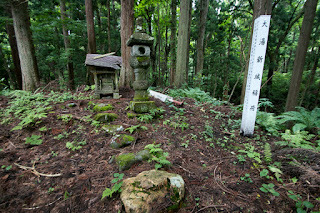 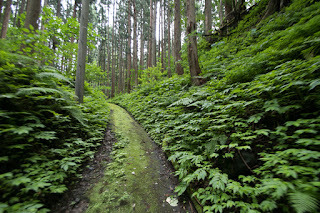 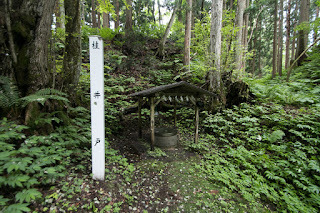 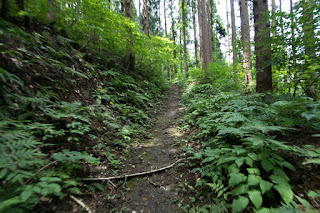 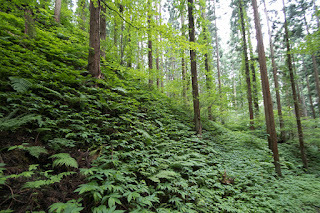 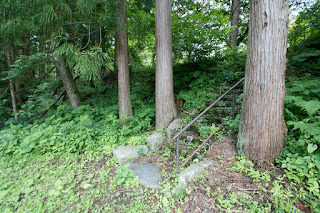 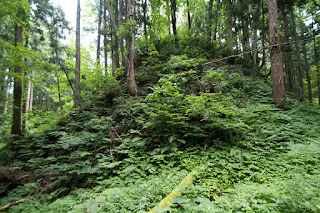 Oyu town is a narrow valley where Oyugawa river flows Towada mountains toward Hanawa basin, and known for Oyu spa established over 800 years ago. 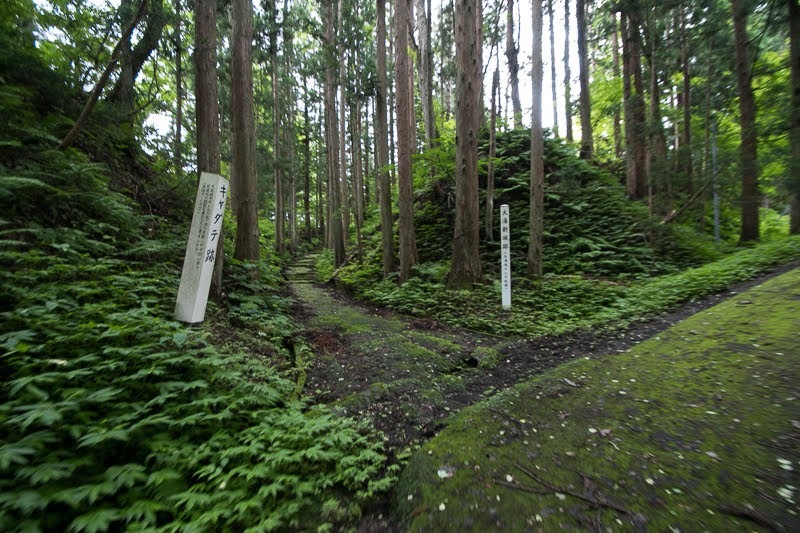 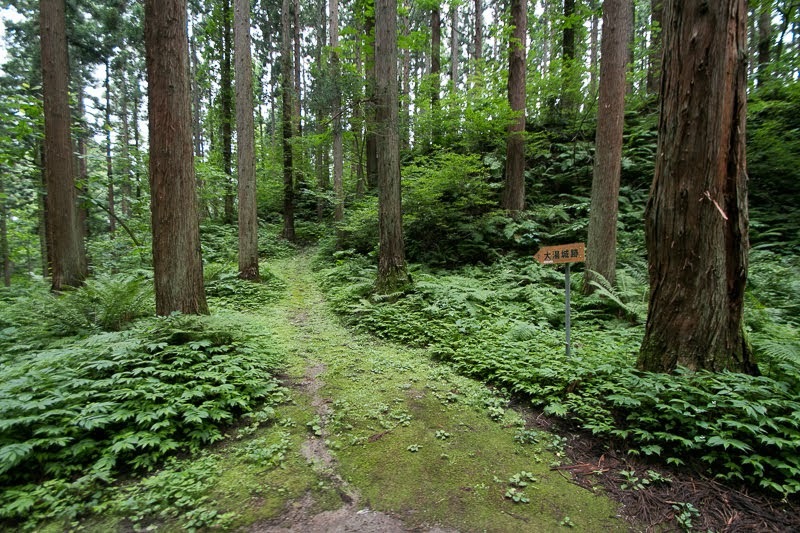 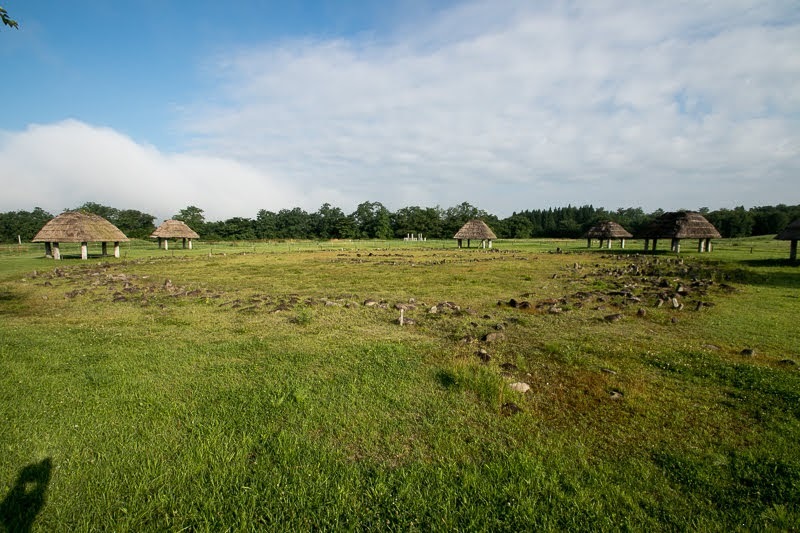 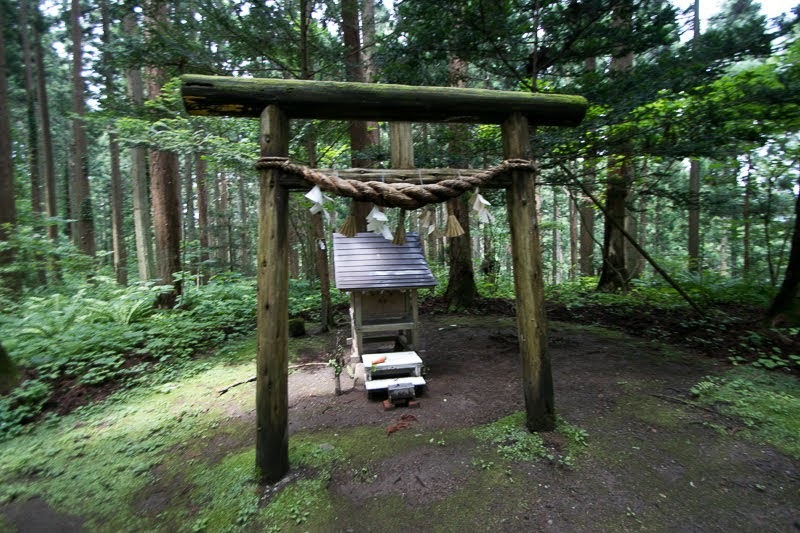 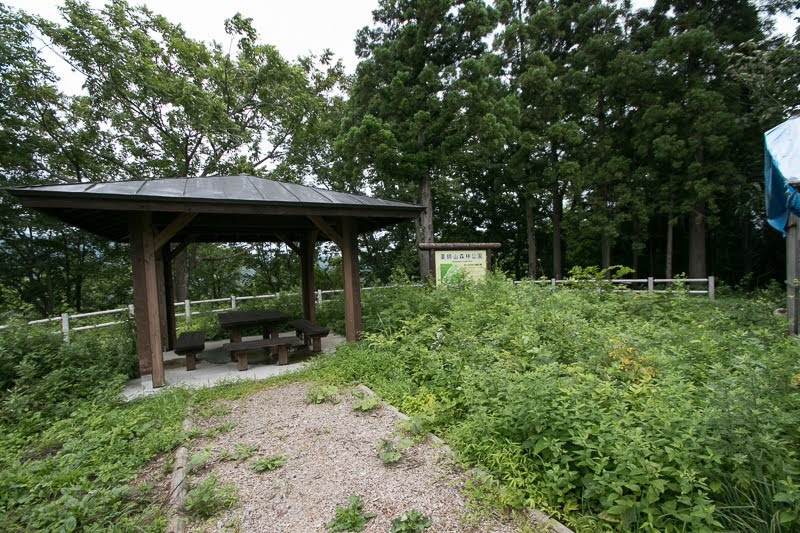 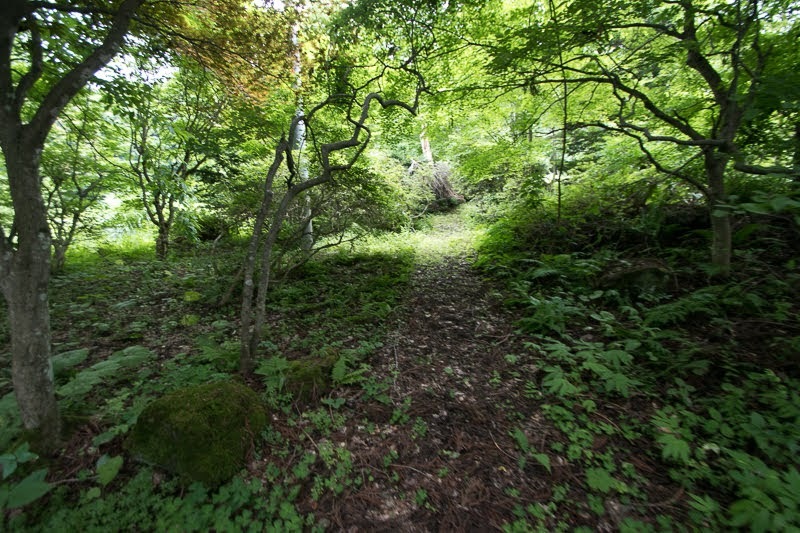 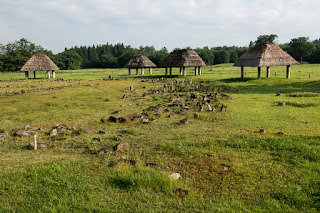 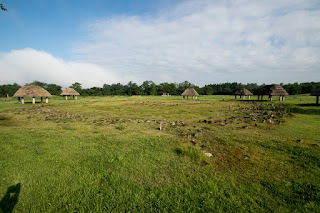 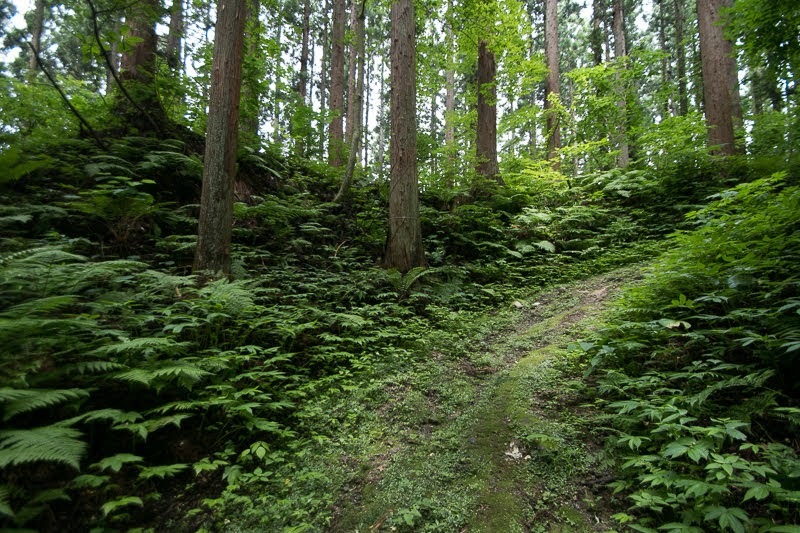 In addition to its spa, Oyu town is used as a posting town to neighbor tourist spots such as Lake Towada-ko or Oyu Kanjo Resseki, an ancient stone circle ruins. 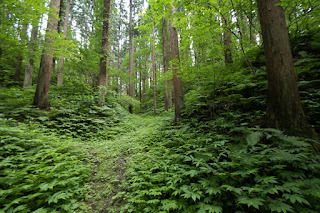 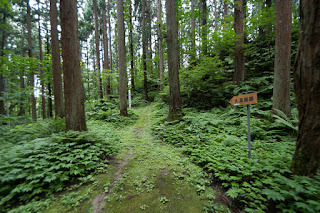 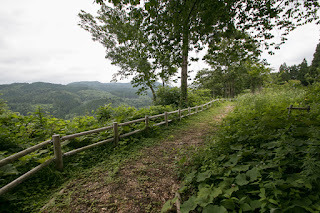 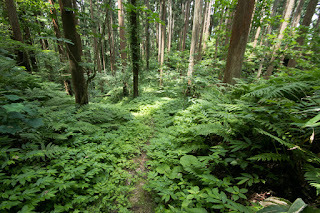 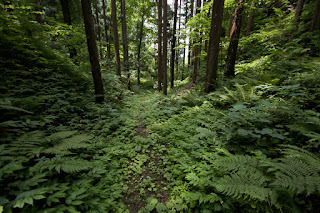 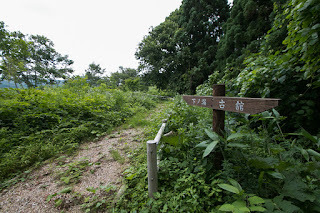 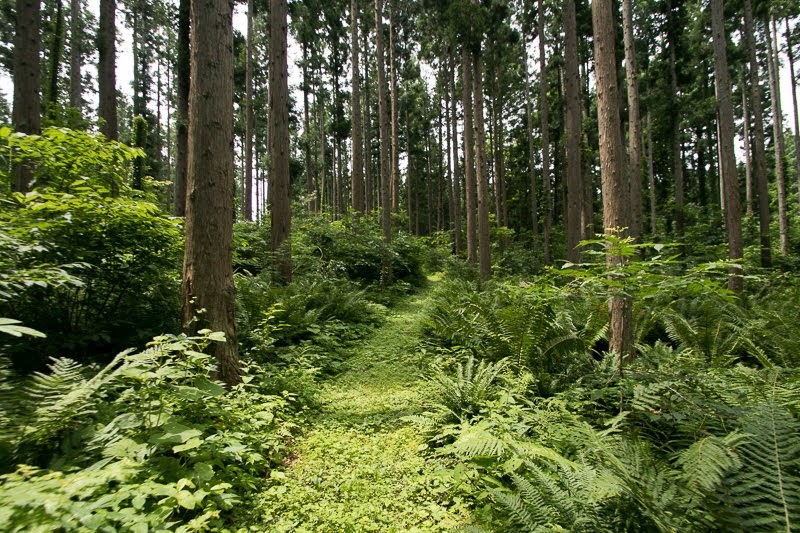 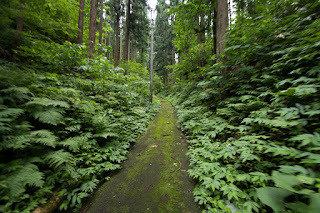 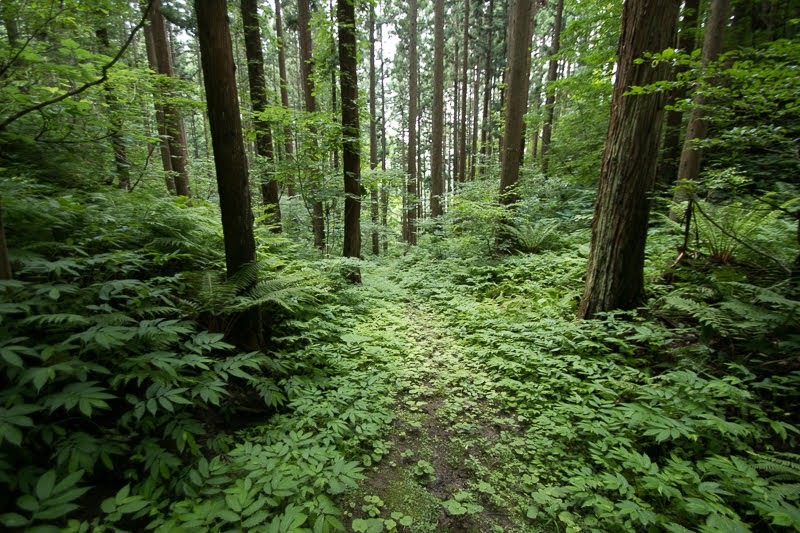 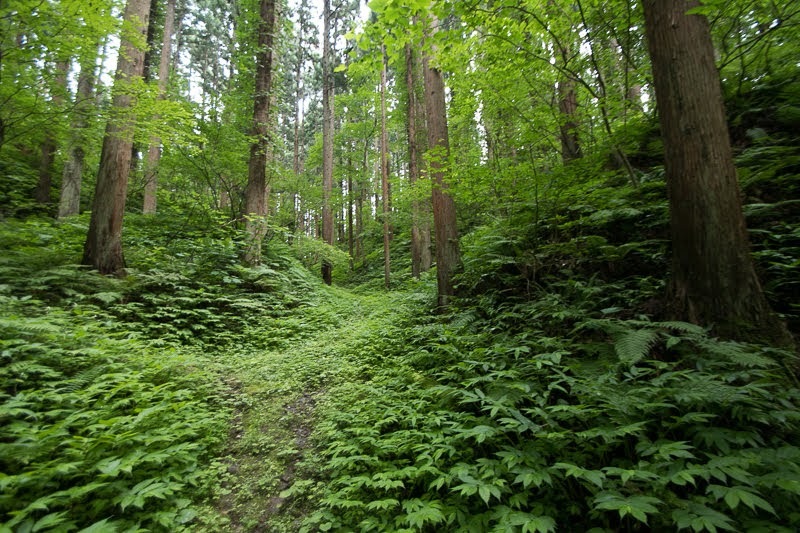 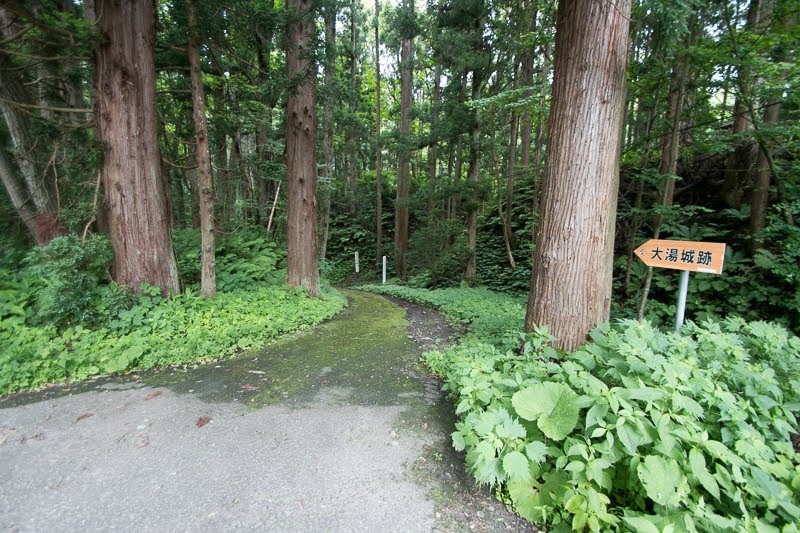 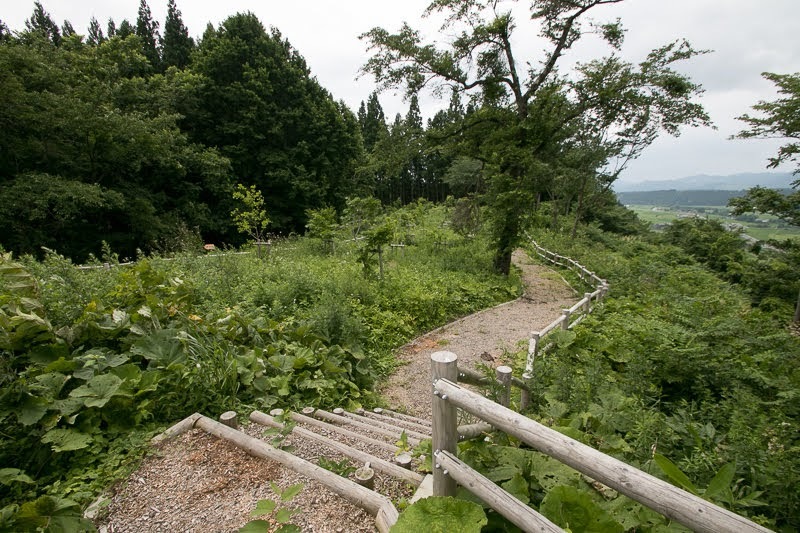 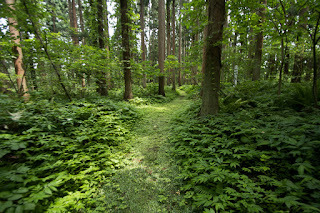 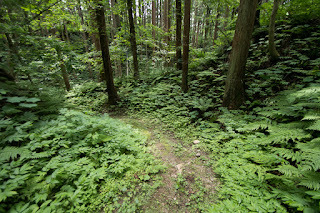 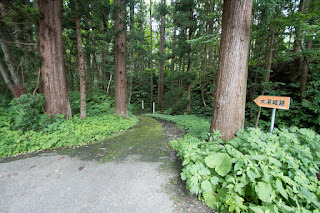 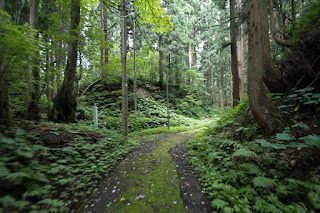 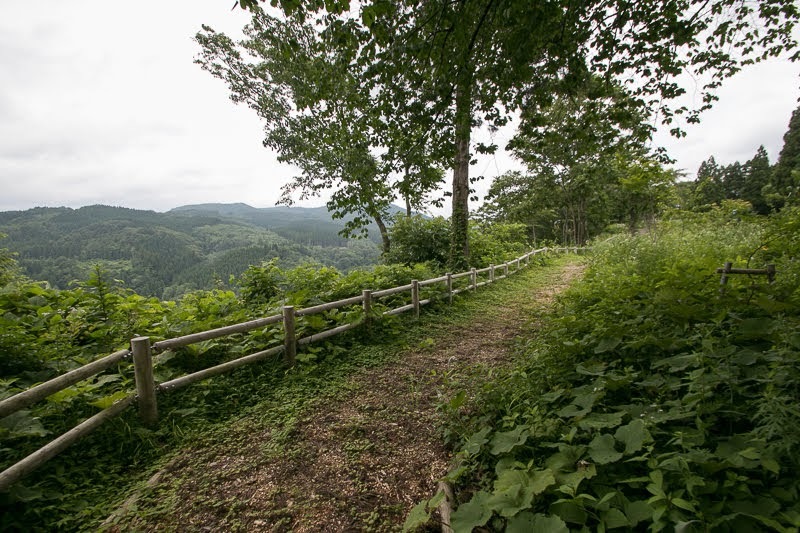 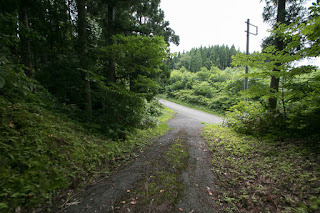 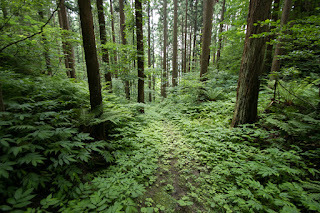 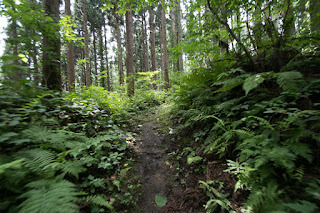 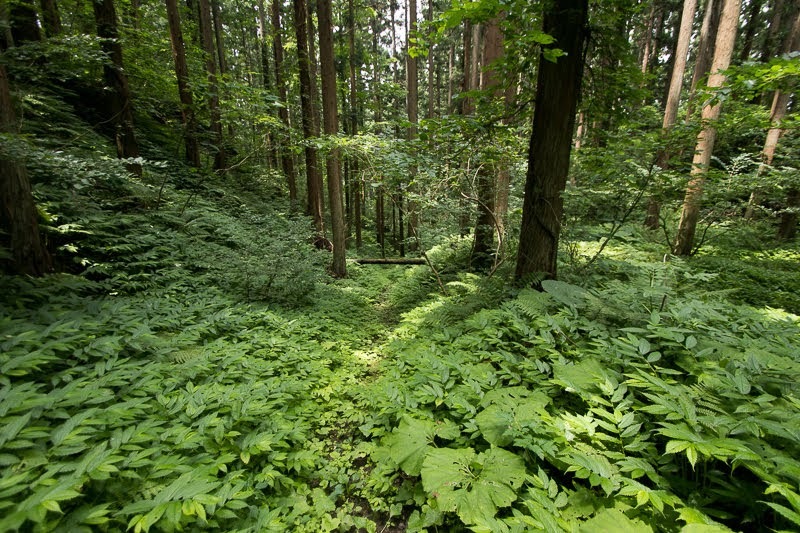 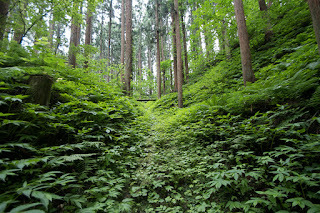 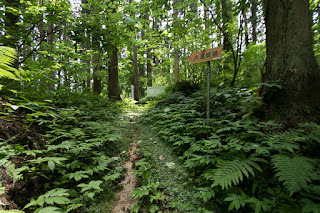 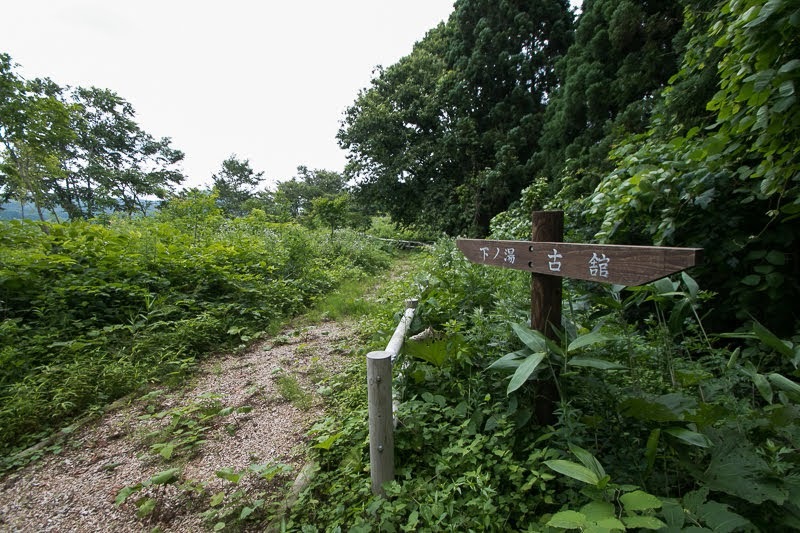 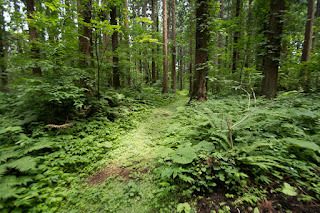 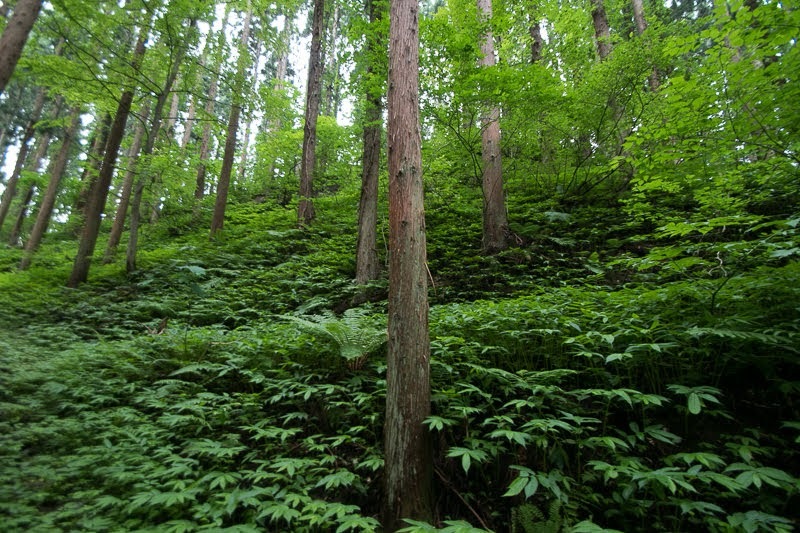 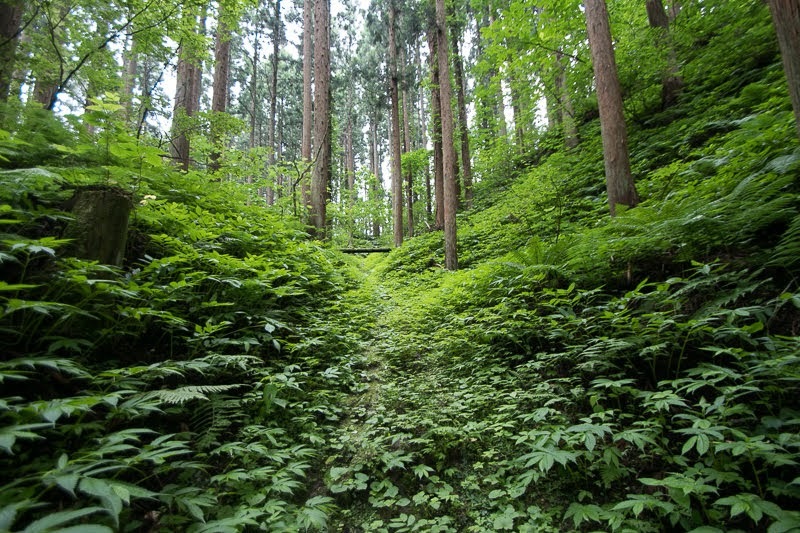 Historically Oyu area is a posting town of Sannohe-Kazuno Kaido road, a mountainous road passes Oshu mountains and connected Sannohe area and Hanawa basin. 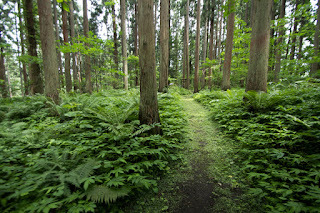 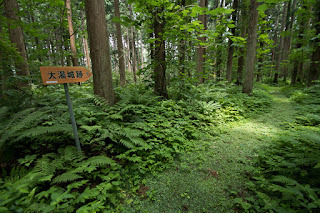 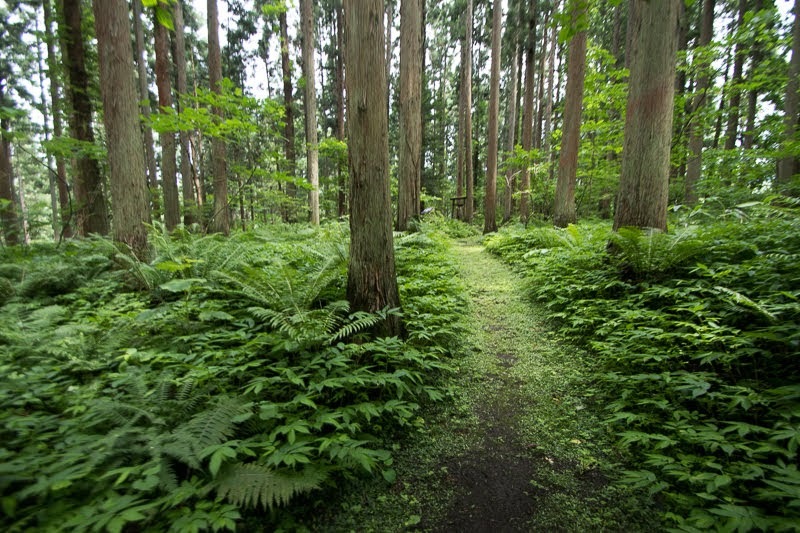 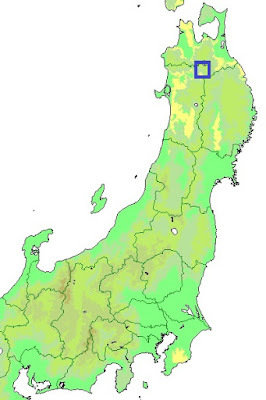 Hanawa basin is a connecting point of local roads from Hirosaki area, Odate or Noshiro area, Morioka area and Sannohe area, and Oyu area is an important point to connect Hanawa basin from Pacific Ocean side. 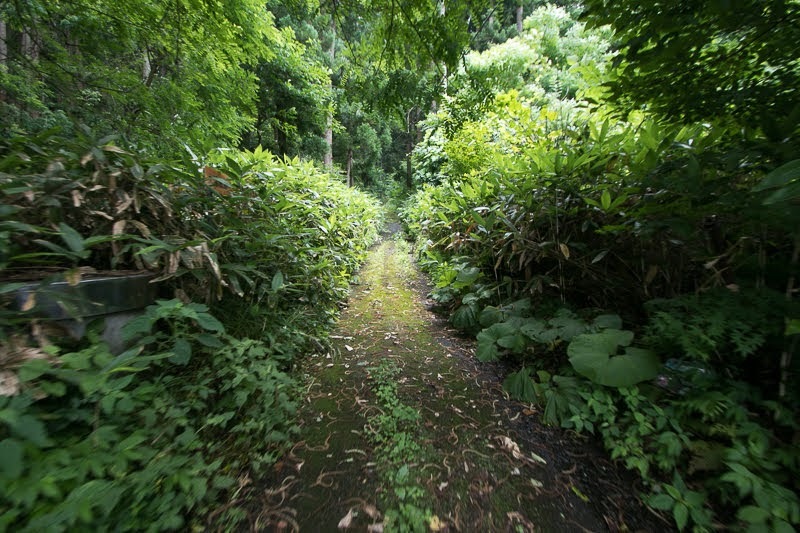 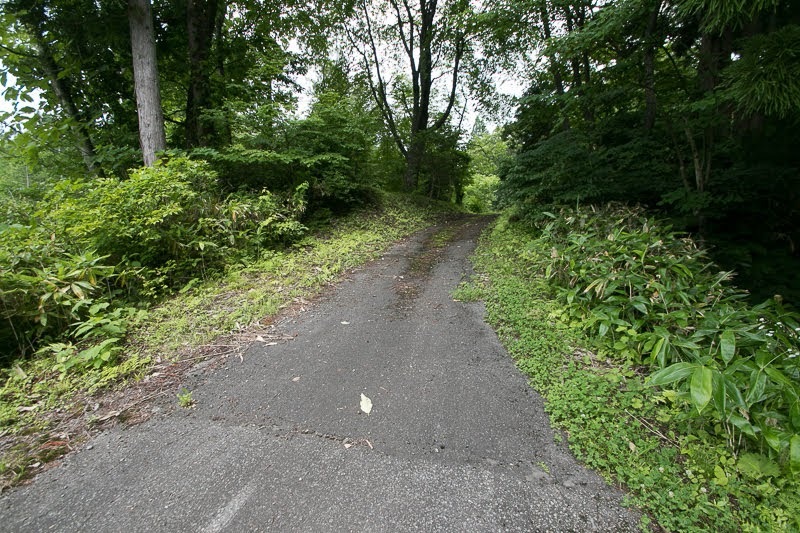 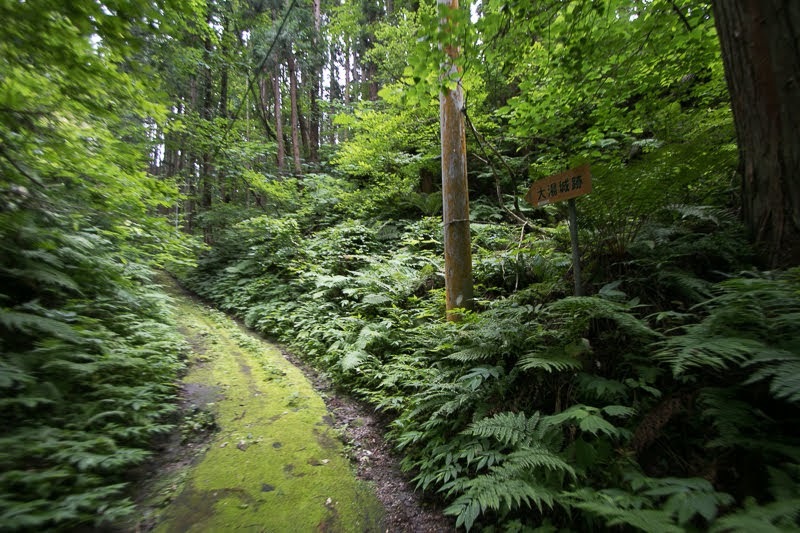 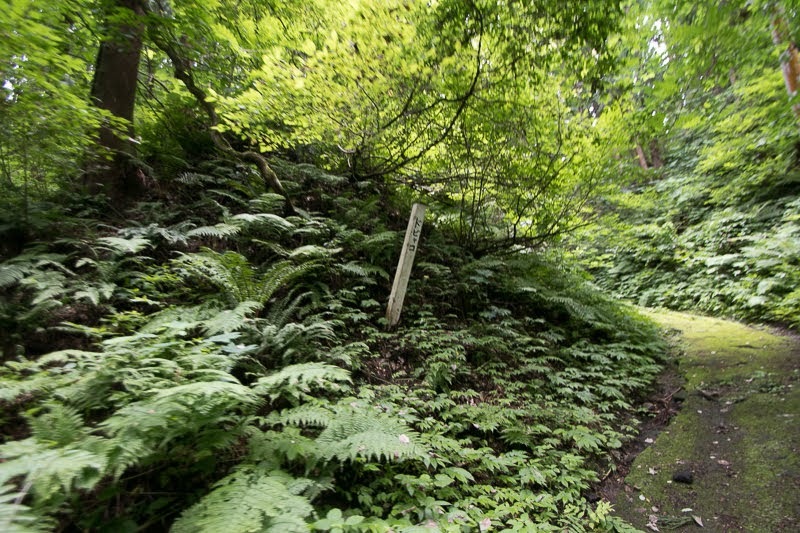 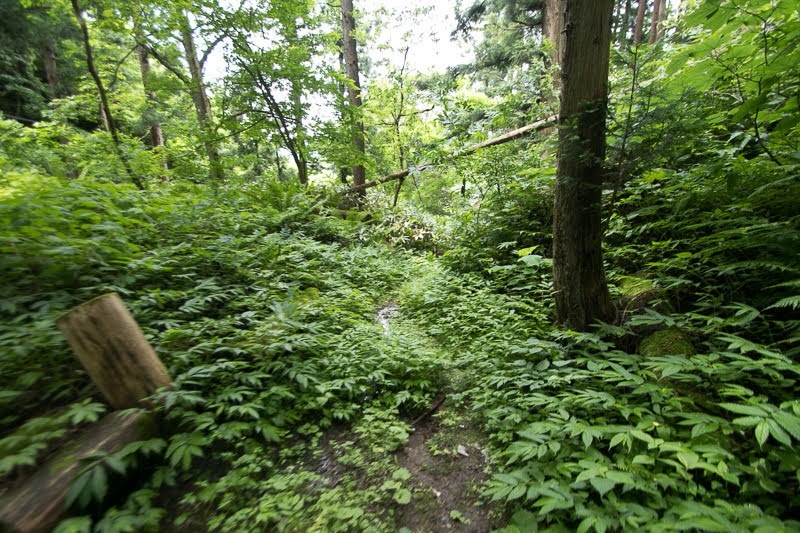 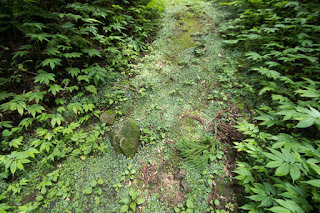 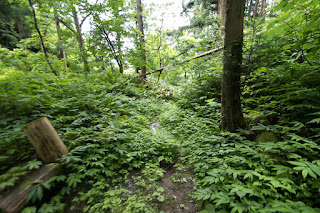 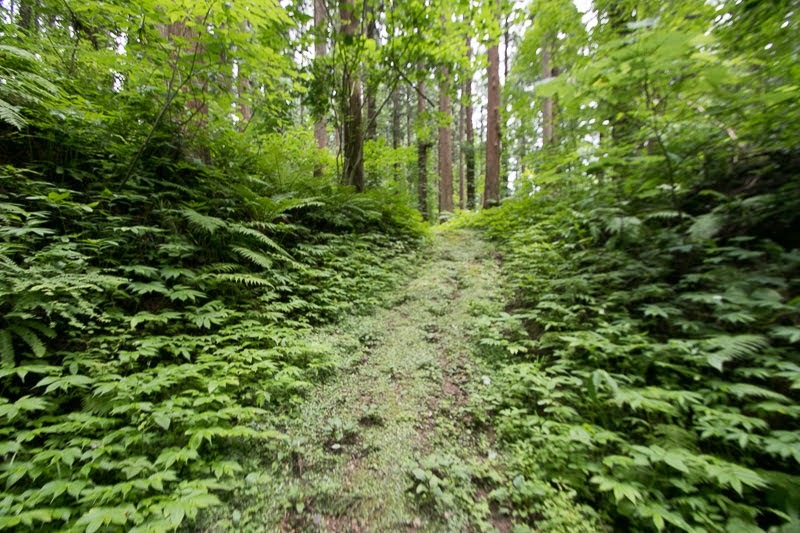 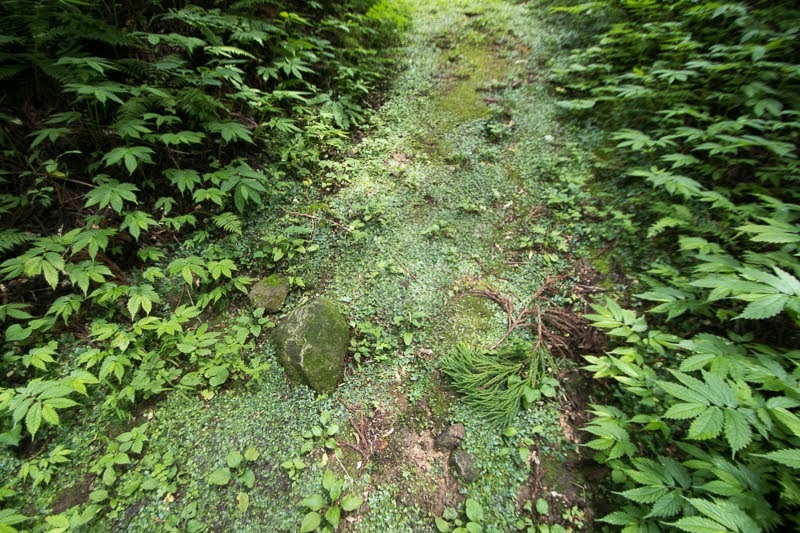 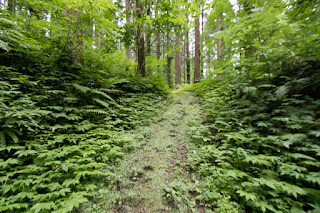 This road also had been used to transport minerals produced at neighbor mines to Pacific ocean side. 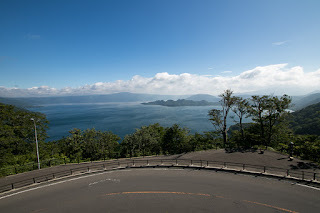 Today Route 103 once turns northward and approaches to the next of Lake Towada then diverges to Route 104, but historically proceeds directly eastward from Oyu town and passed Raiman Toge pass then merges to current Route 104. 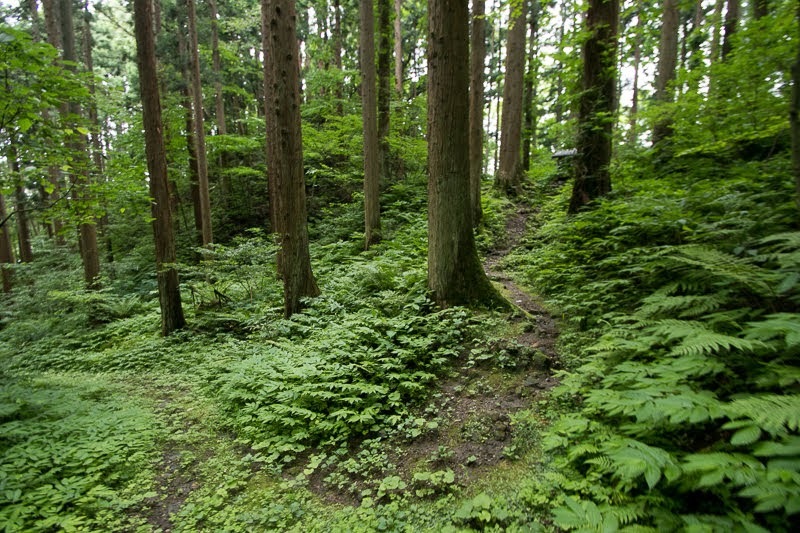 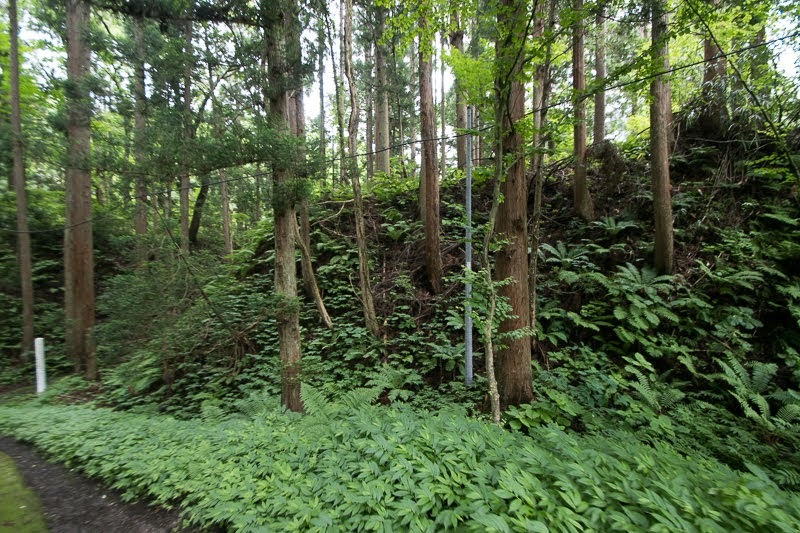 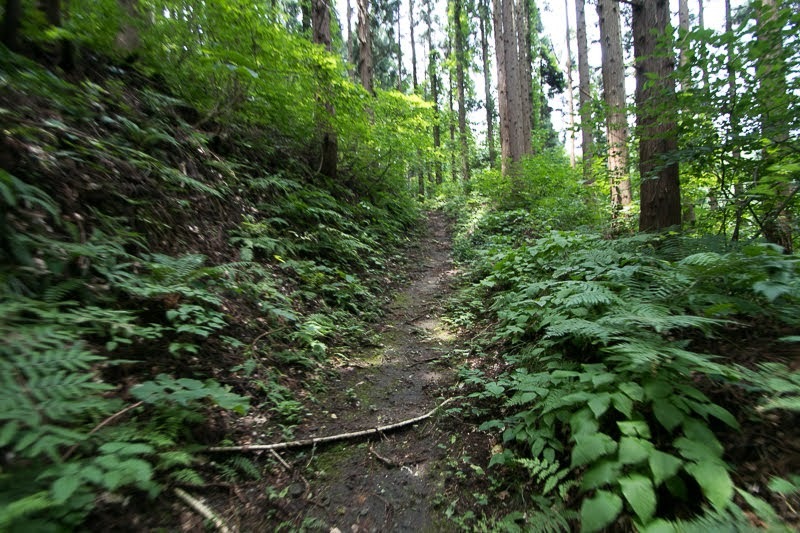 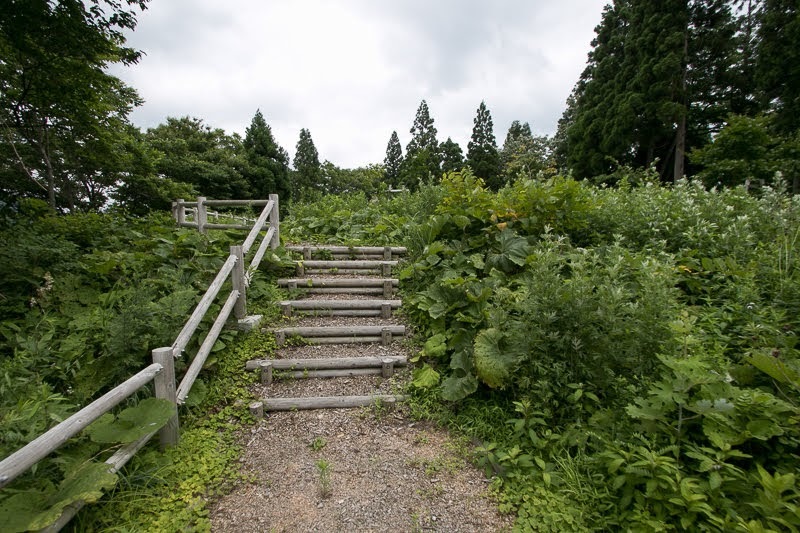 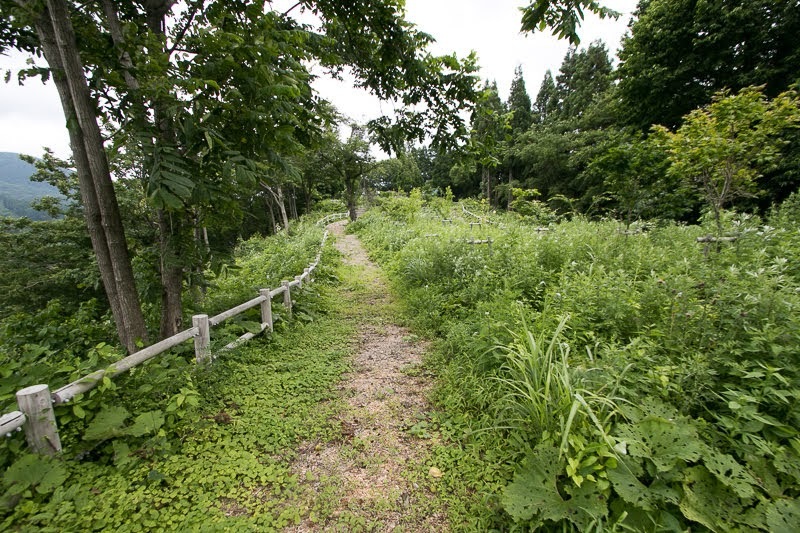 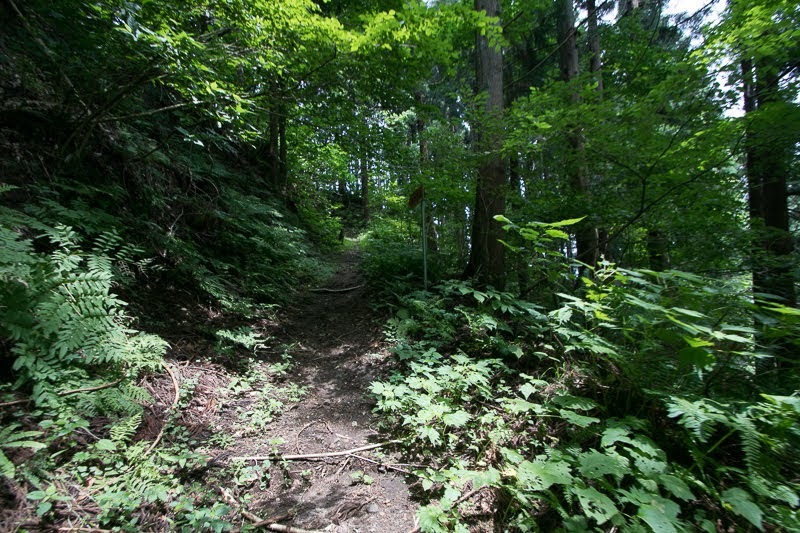 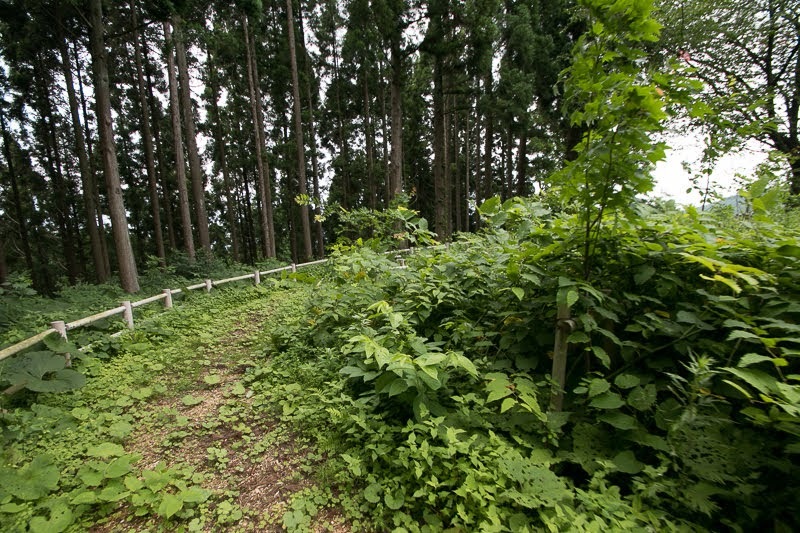 The origin of Oyu castle is not clear but it might be originally built at Kakura-yama hill, at southwest end of current Oyu town by local lord Nara clan. 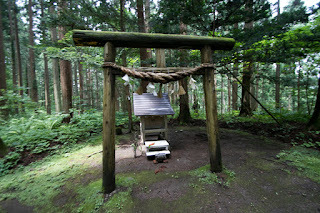 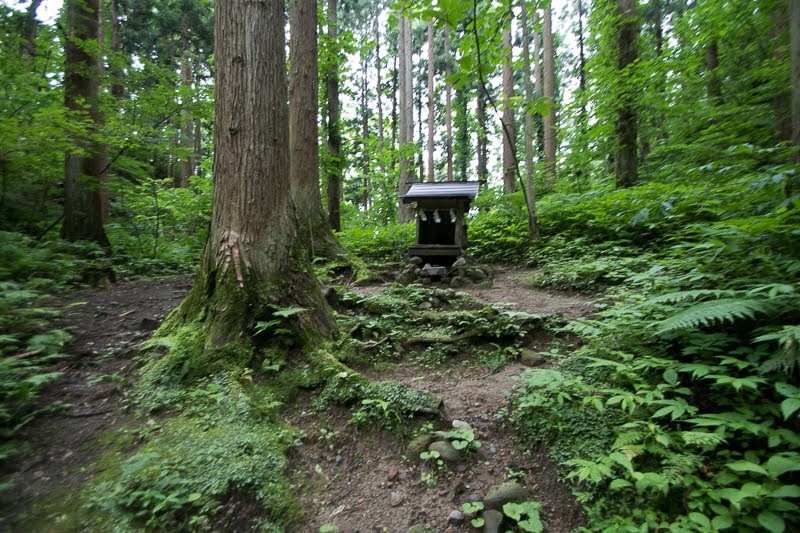 Nara clan was originally a descendant of Muto clan resided at current Saitama prefecture but moved to Kazuno area at the establishment of Kamakura Shogunate. 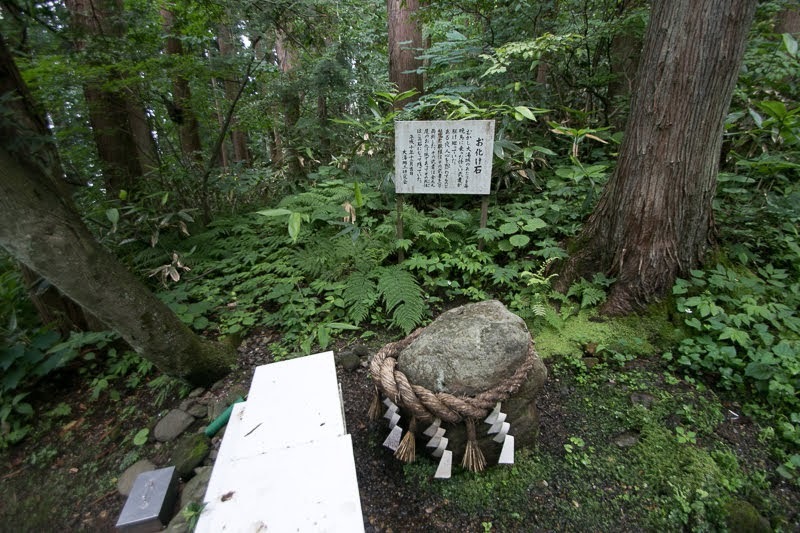 Nara clan became one of four major local lords of Kazuno area. 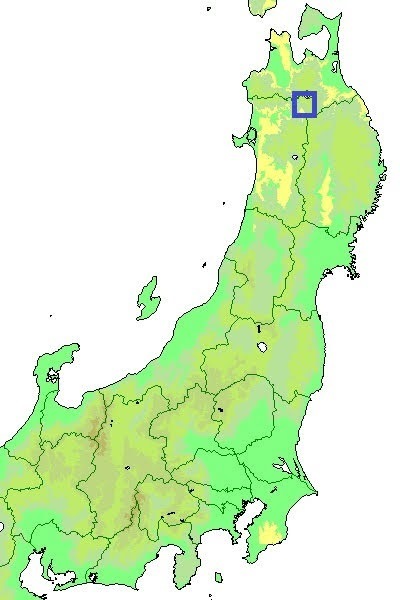 As Kazuno area was border area of surrounding lords such as Ando clan, Asari clan or Nanbu clan, these lords changes their master based on the situation. But in 15th century Nanbu clan grew their power and proceeded to Kazuno area and Odate area, then Nara clan belonged to Nanbu clan and later changed their surname to Oyu clan, using the name of place. 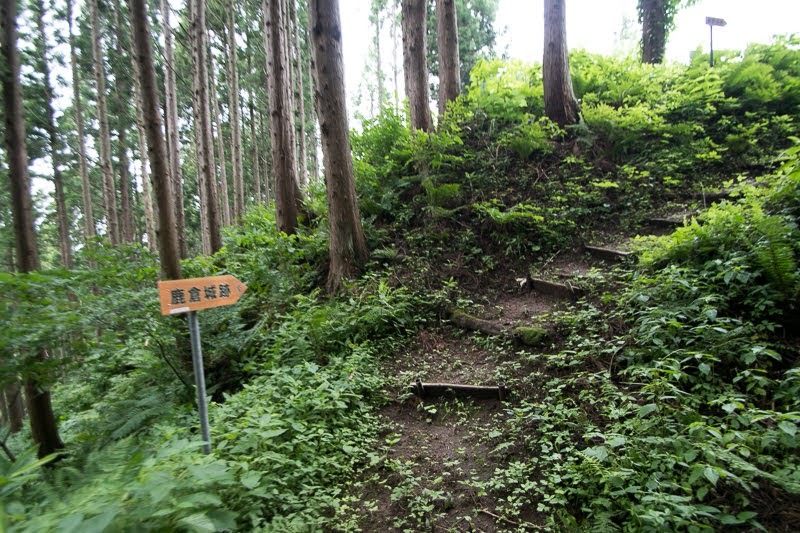 Oyu Kakura castle is a simple structure of oblong shaped single area of about 200 meter long and 50 meter wide at the peak of the hill. 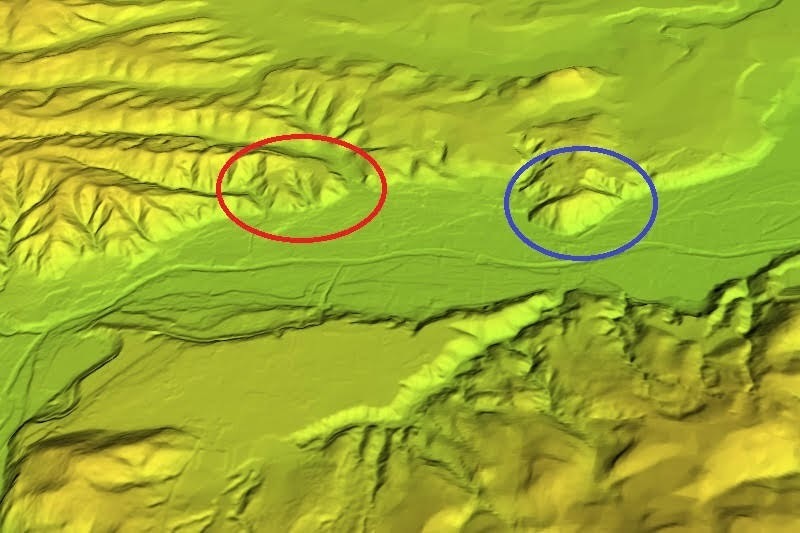 This area is divided into upper layer at northward and lower layer of southward, and has attached terraces at its entrance on southwestern corner. 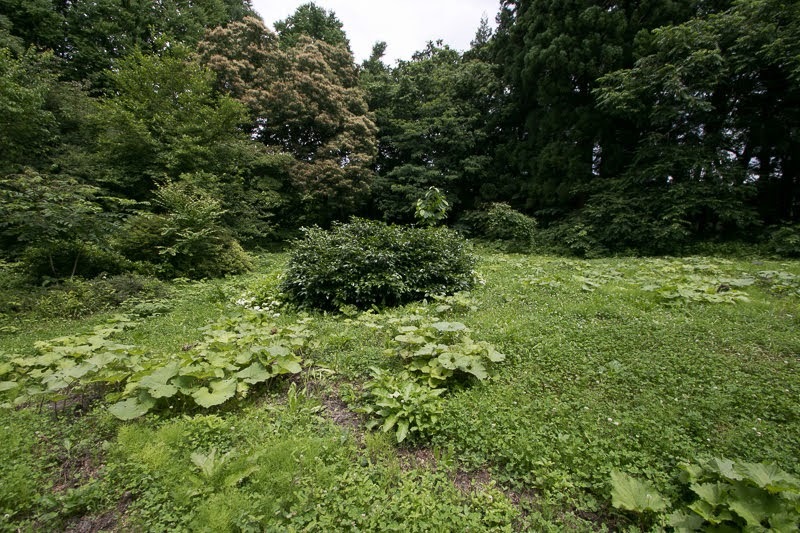 There is large flat area at the east of core area, and it might be used as residential space of retainers. 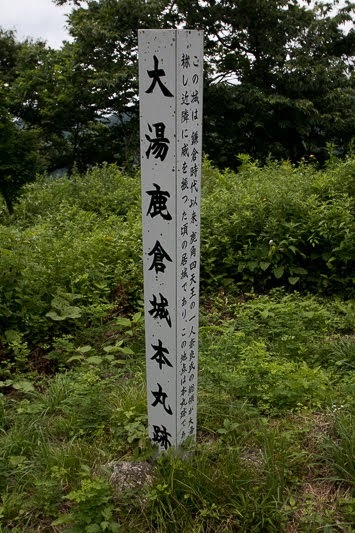 During medieval era, Oyu clan gradually grow to large lord and divided their families around the territory. Along with its growth, Oyu clan newly built Oyu castle at 500 meter east of old Oyu Kakura castle. 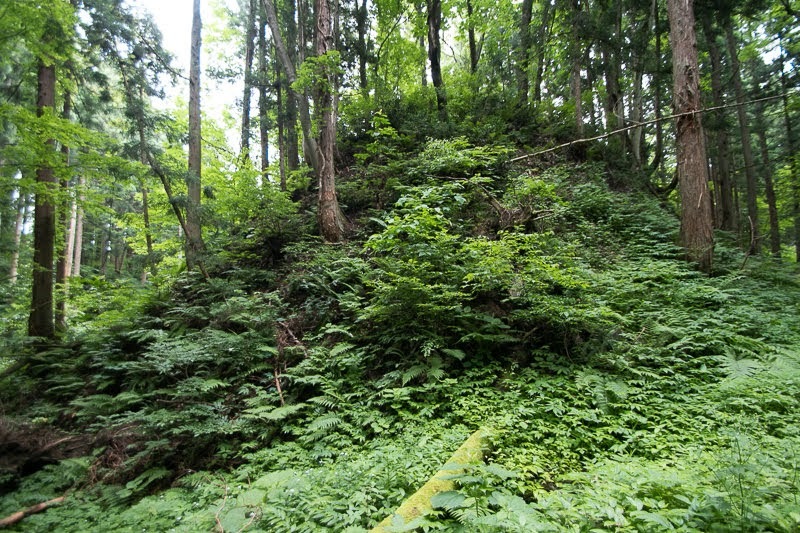 This new Oyu castle is built at the edge of plateau being separated by valleys, and resembles to castles of Nanbu clan such as Shichinohe castle or Kunohe castle. Central area of the castle is roughly a rectangular one of about 150 meter long and 50 meter wide. It has a main gate with folded path at southwestern corner, which might be renovated later period. Backside gate is built at the middle of north line, and there might be large building of the lord. 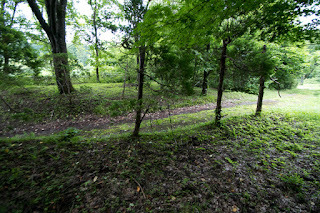 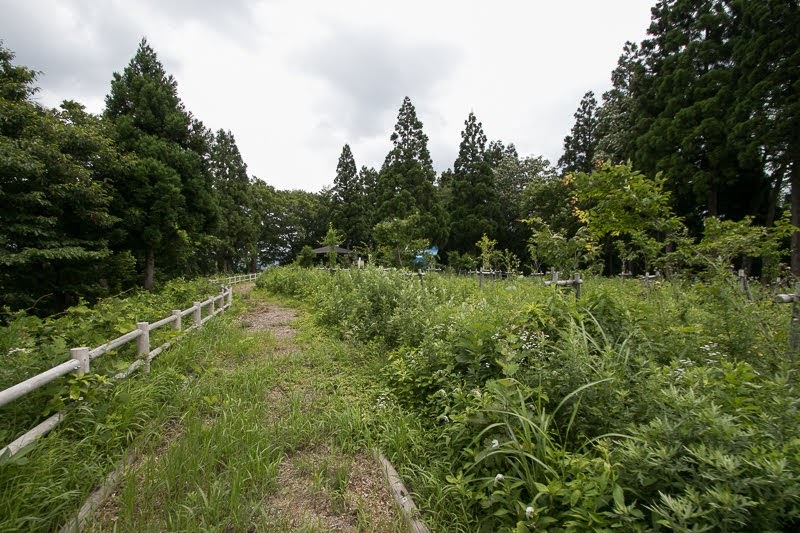 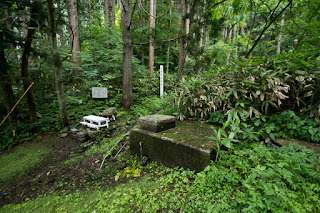 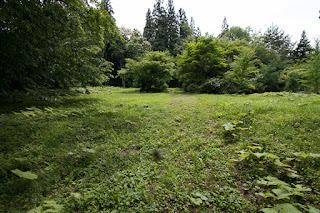 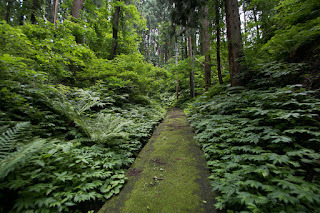 Ahead of deep dry moat of over 10 meter, secondary area which is also a rectangular one of about 100 meter long and 60 meter wide exists at the south of central area. 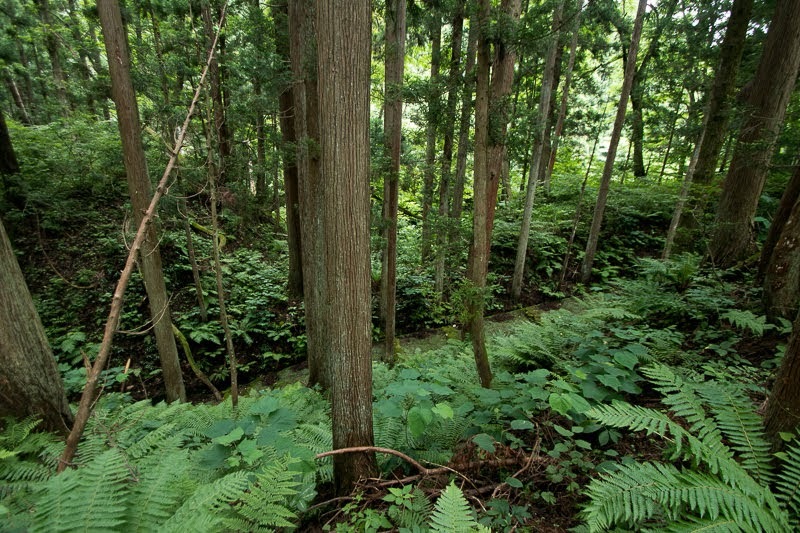 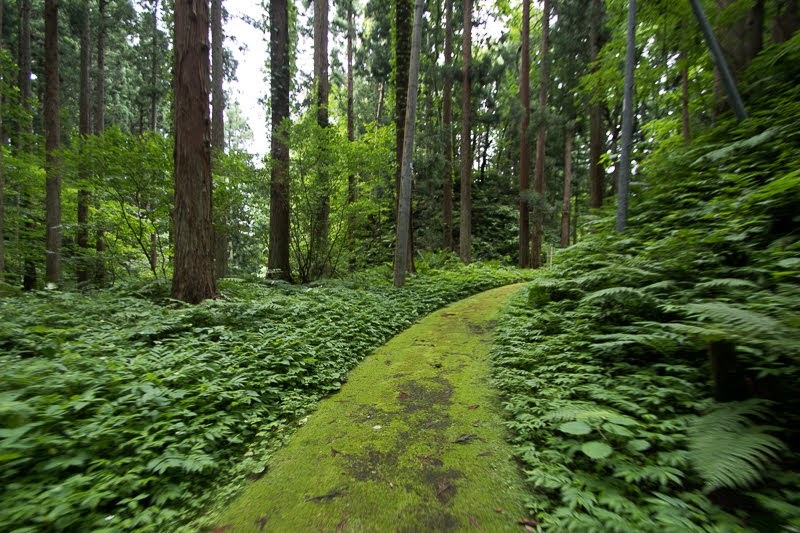 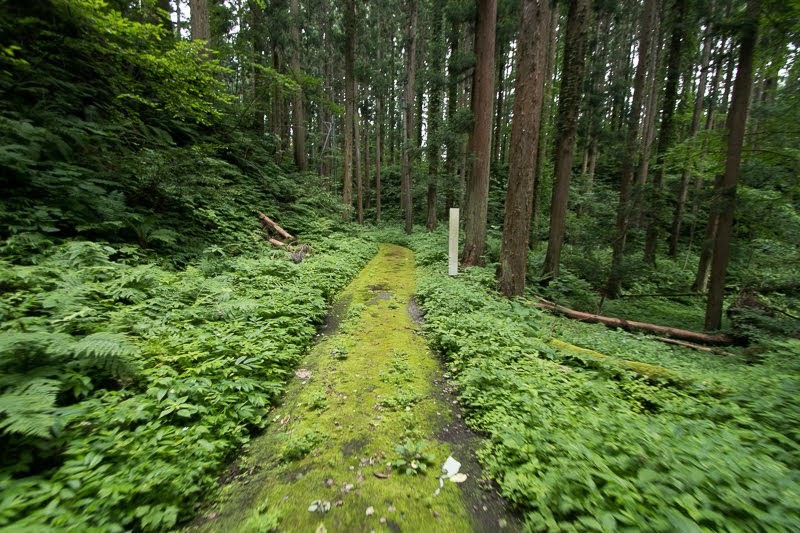 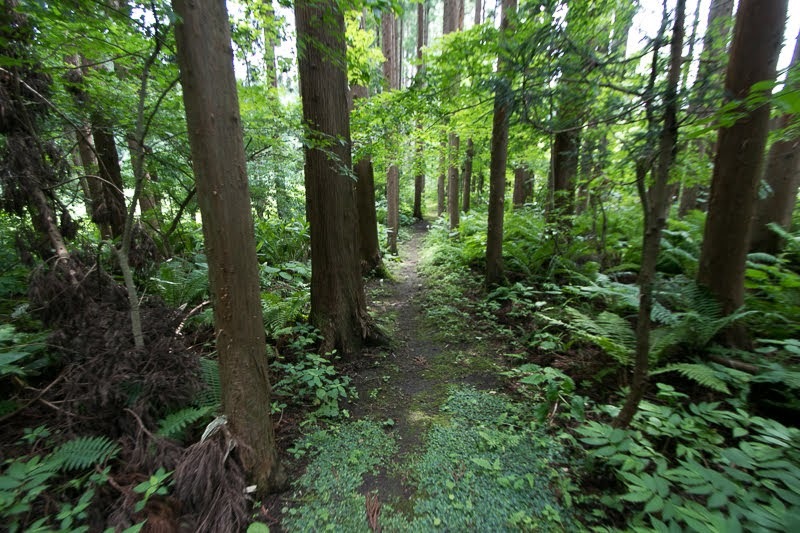 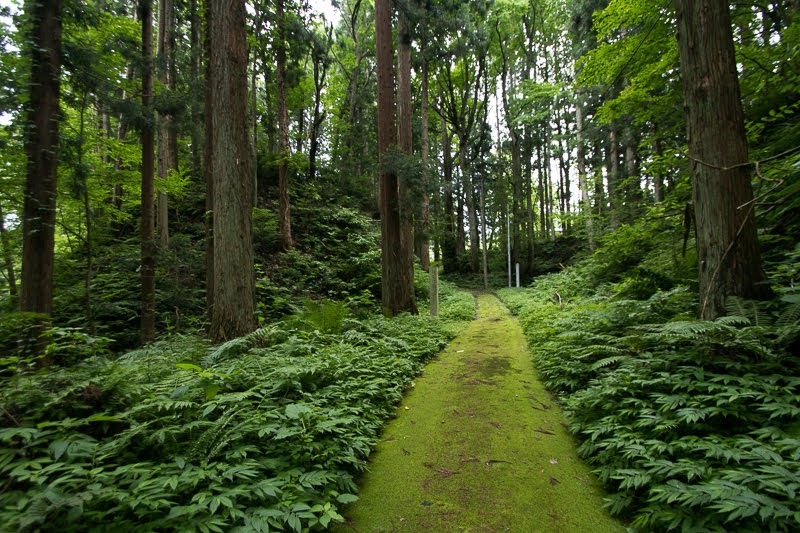 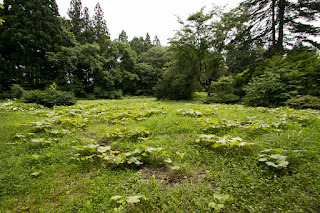 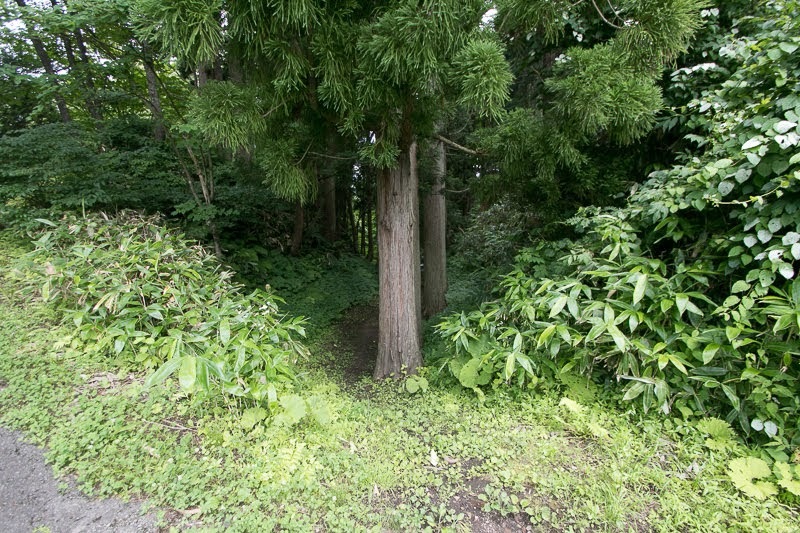 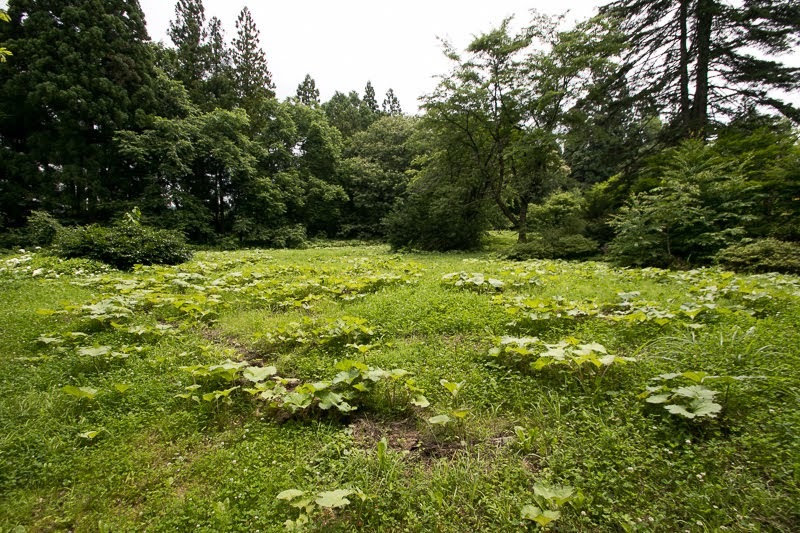 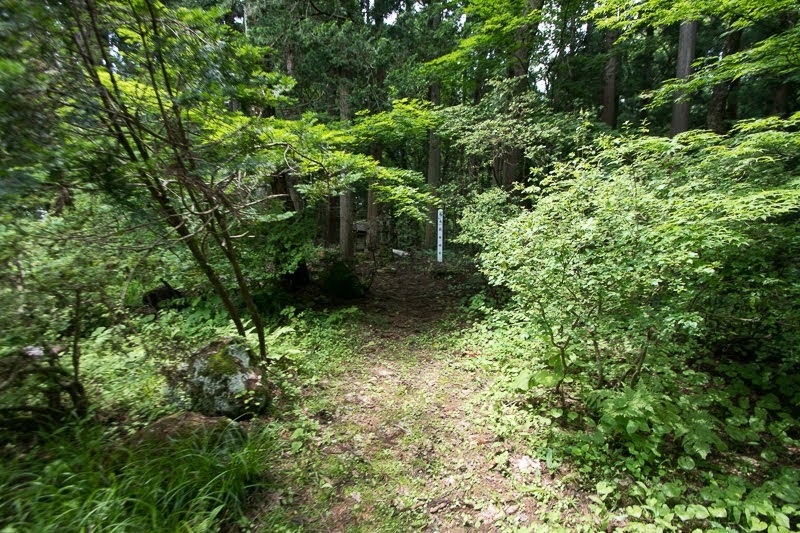 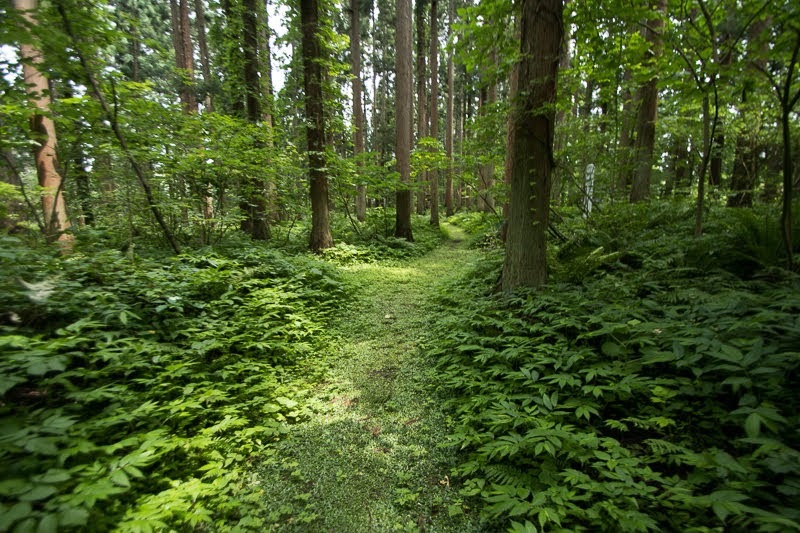 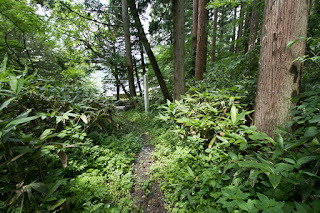 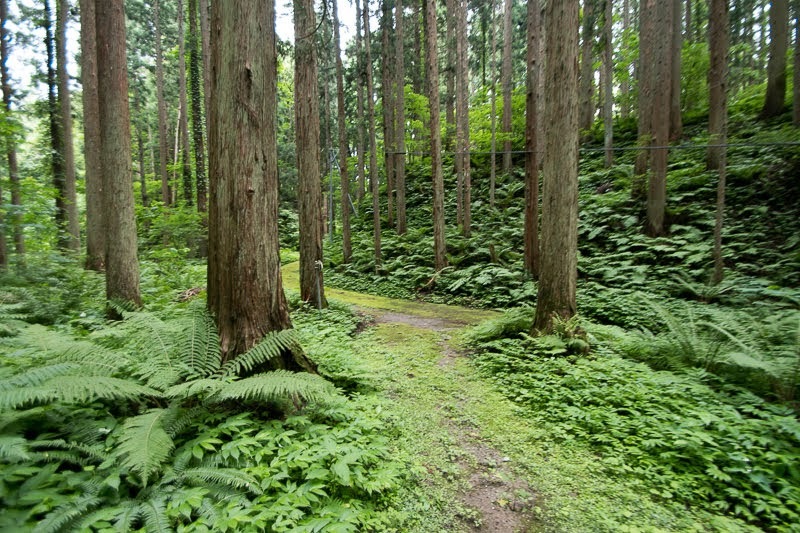 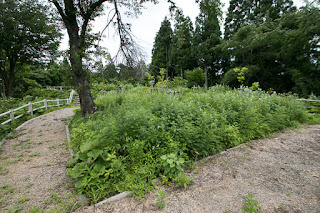 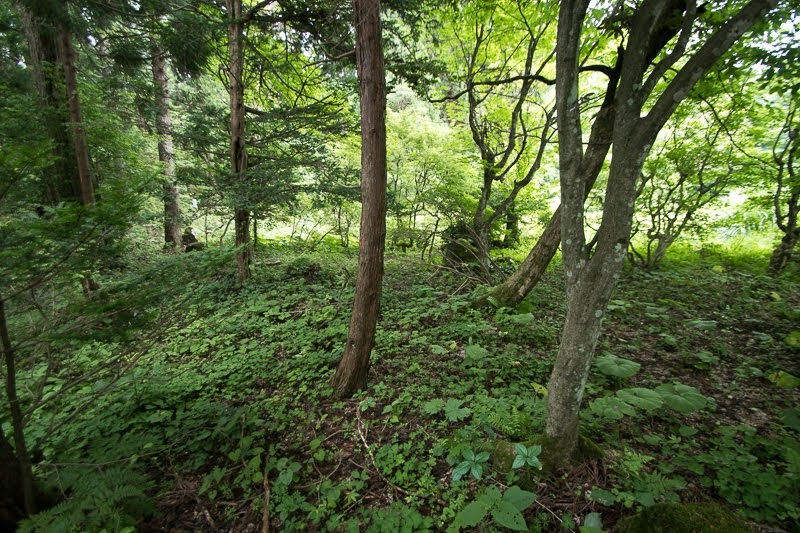 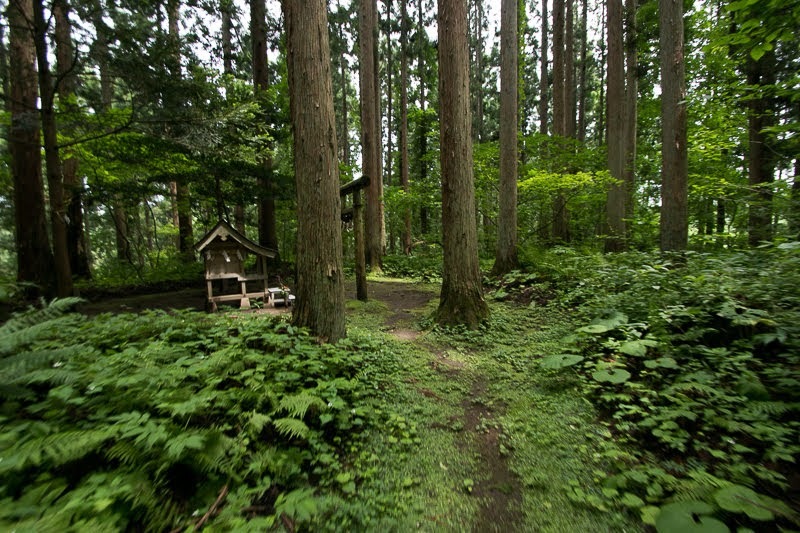 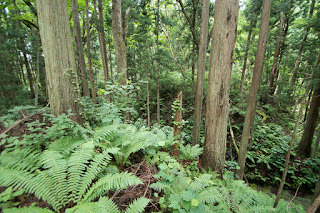 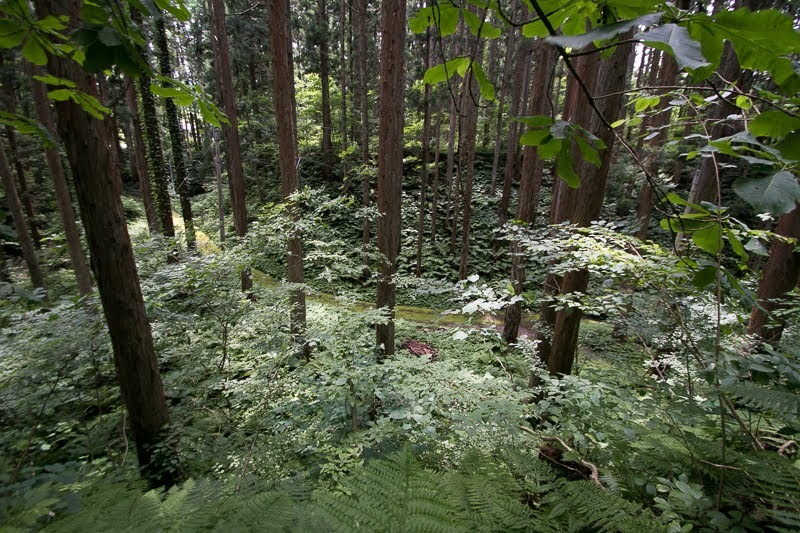 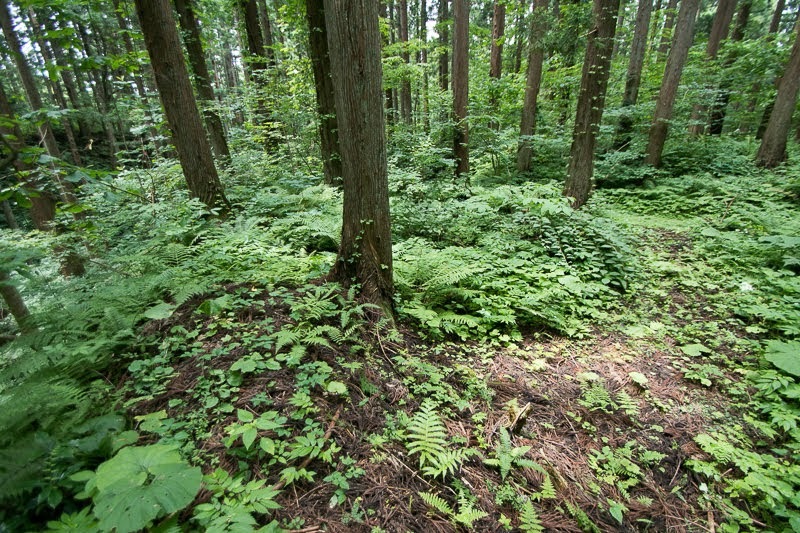 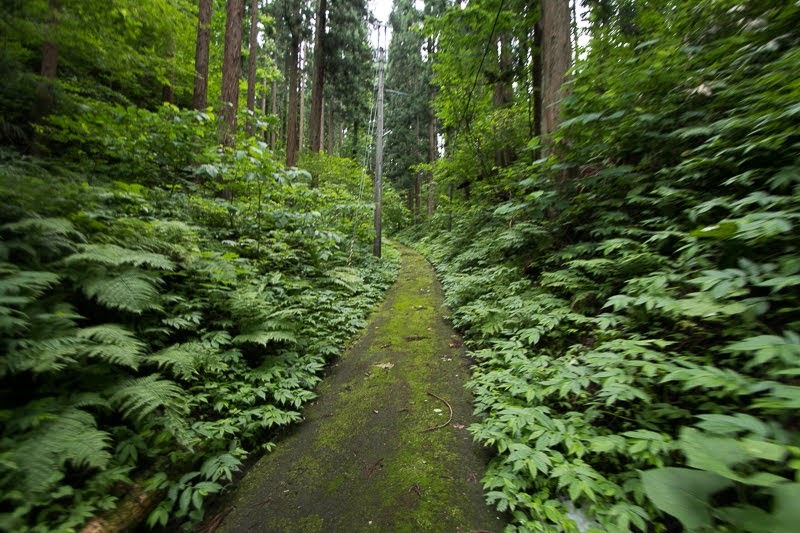 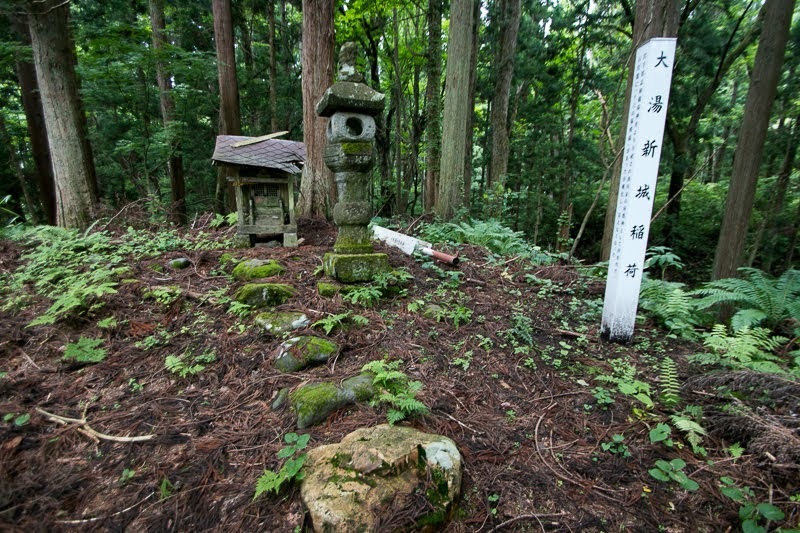 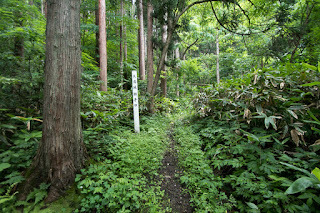 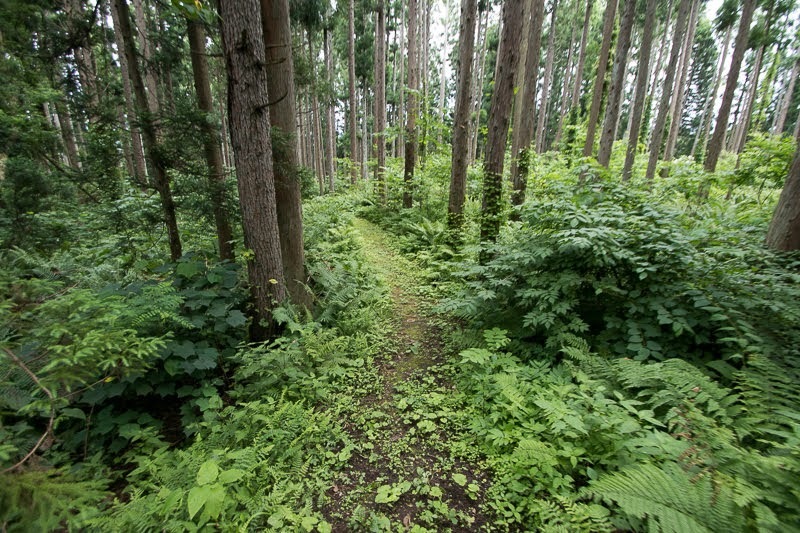 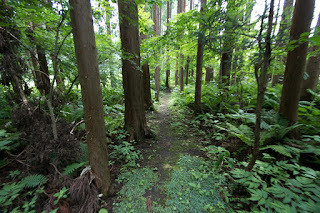 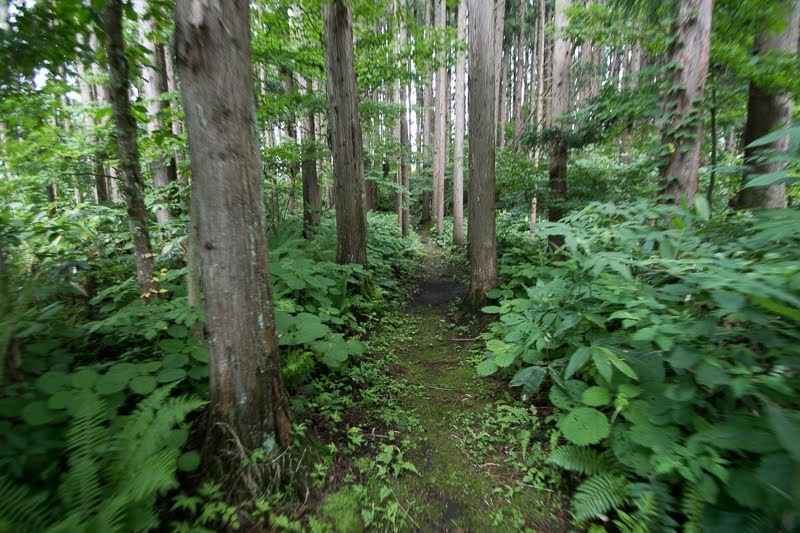 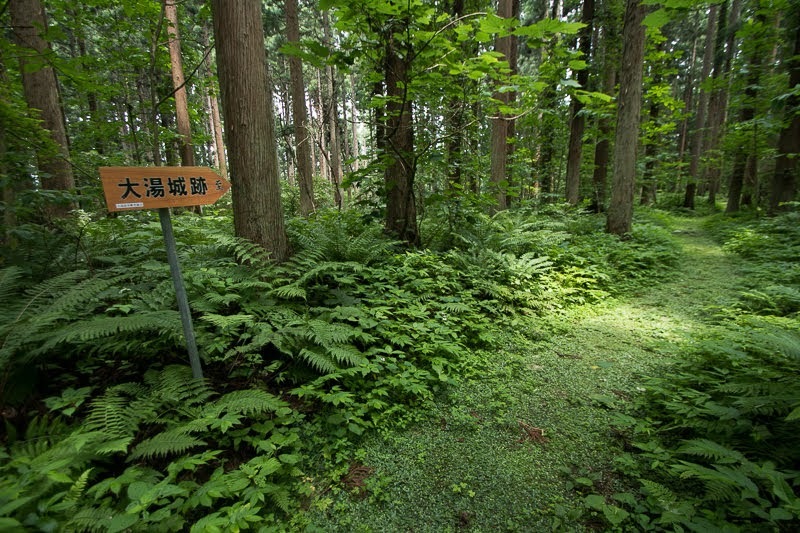 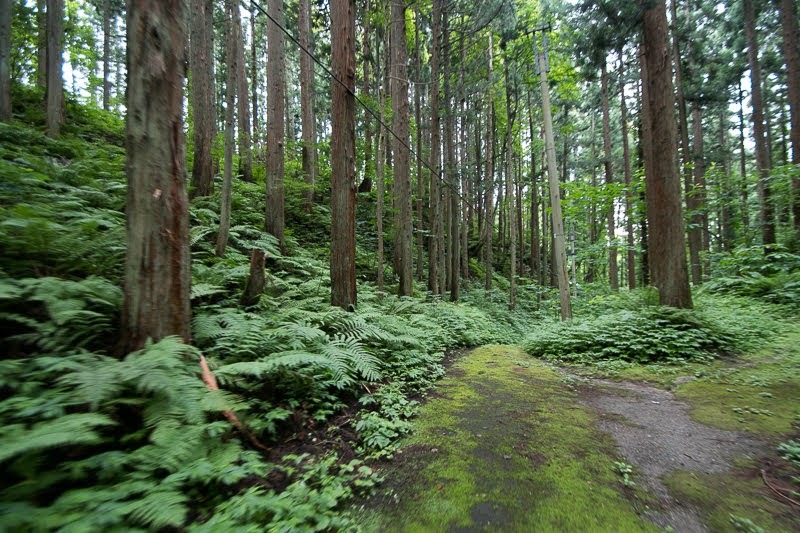 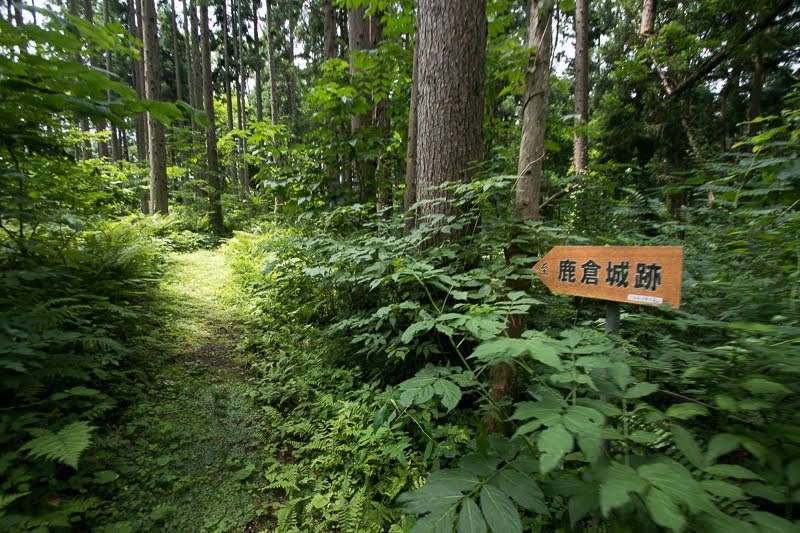 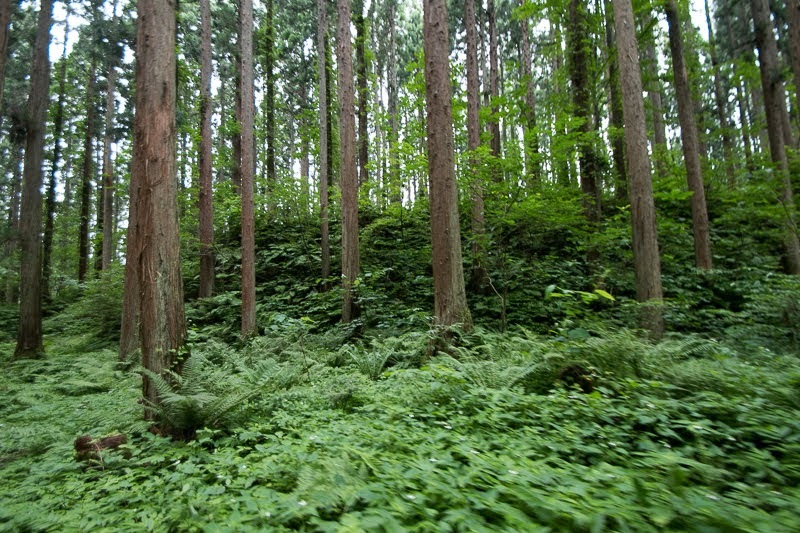 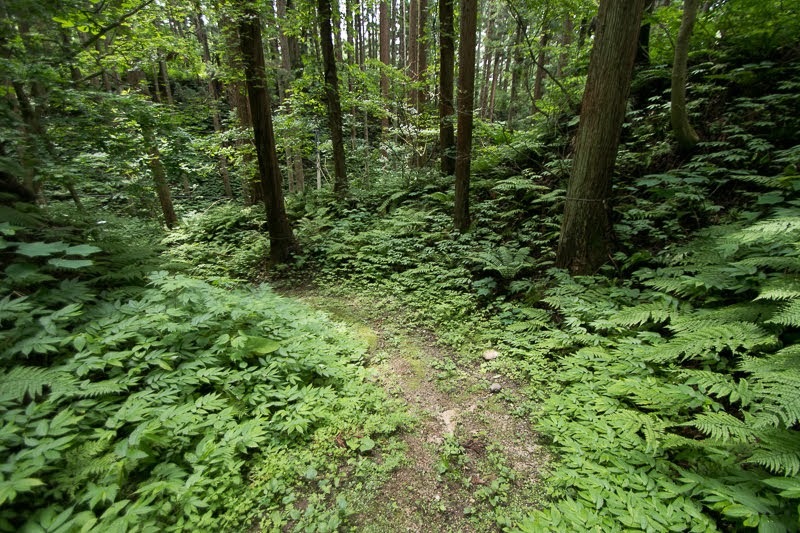 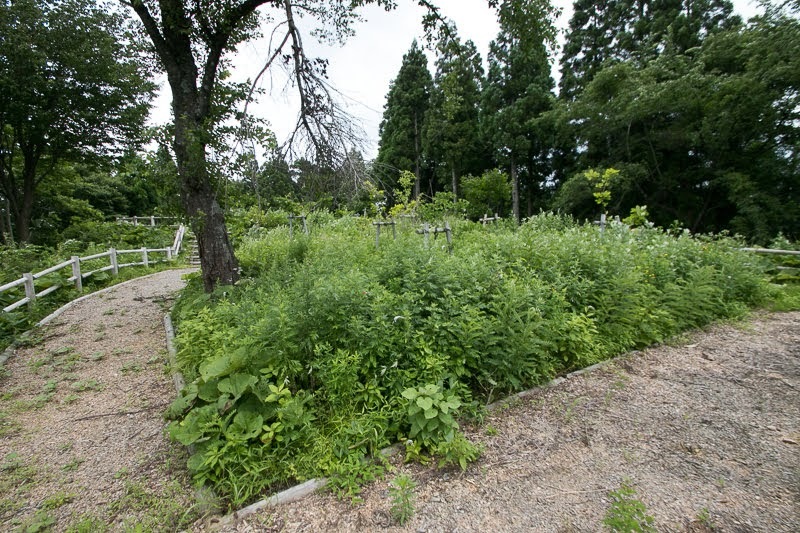 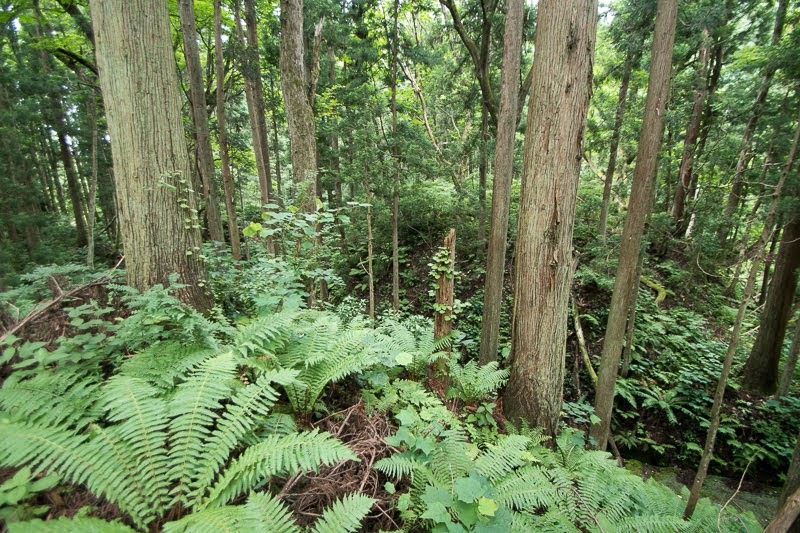 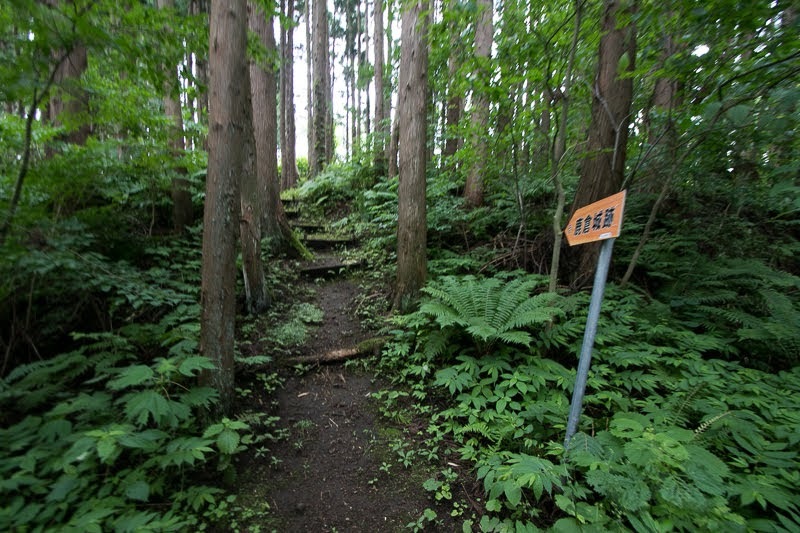 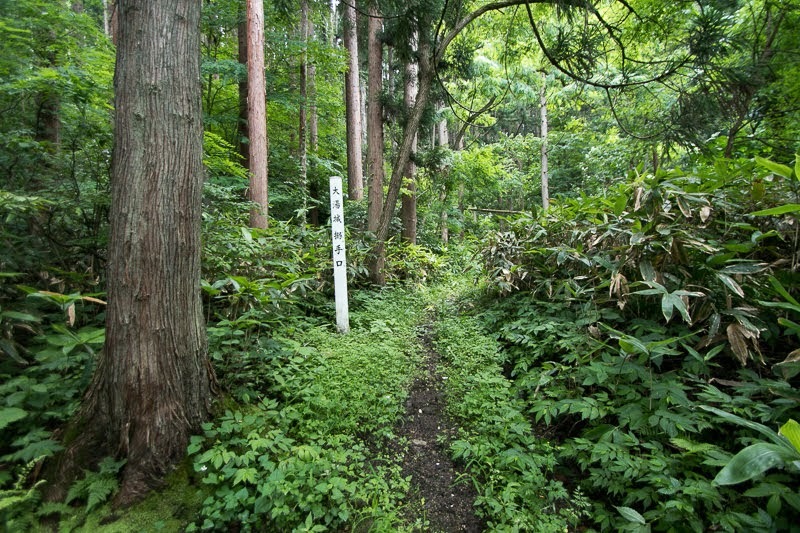 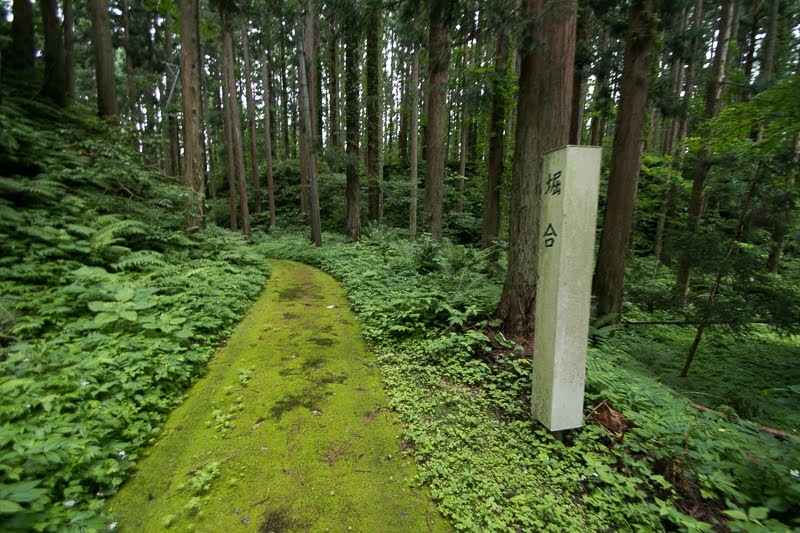 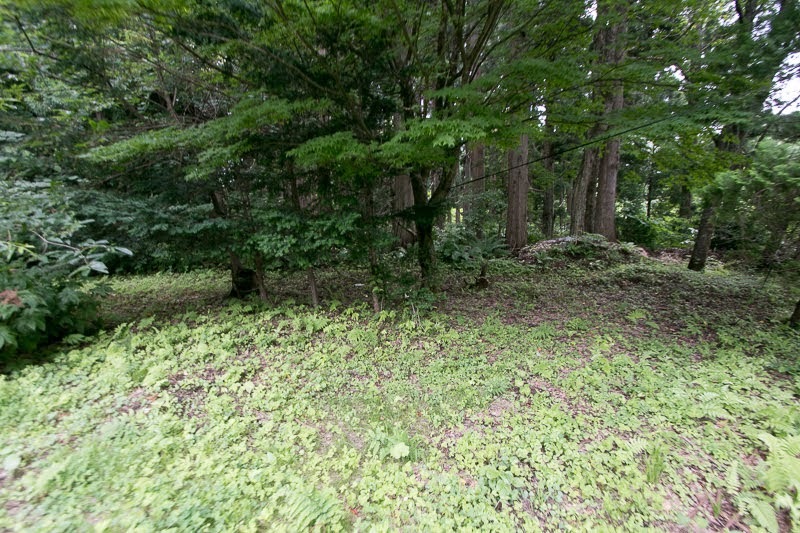 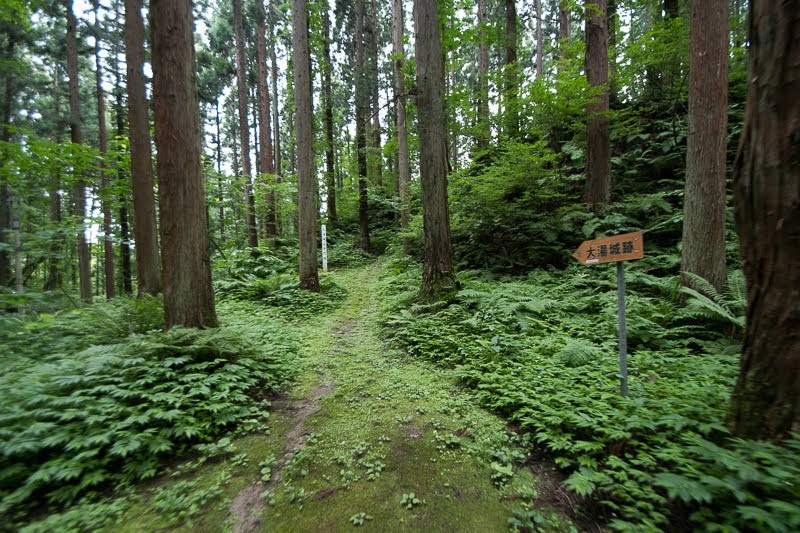 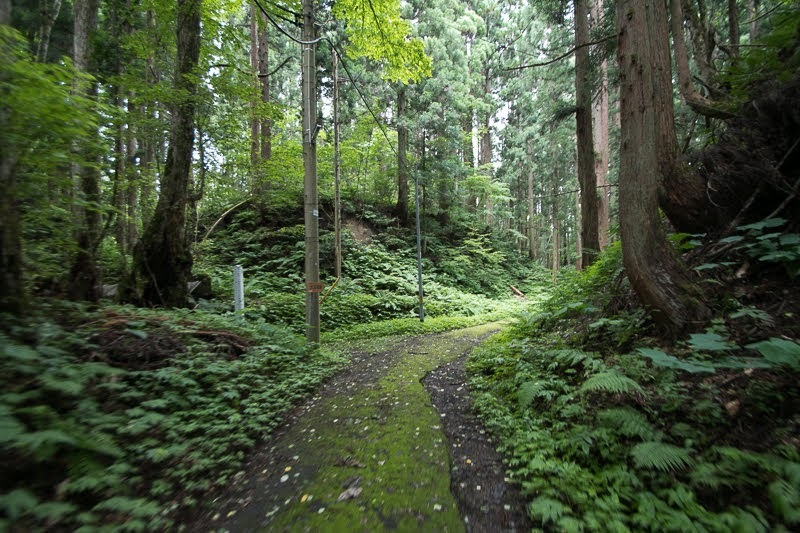 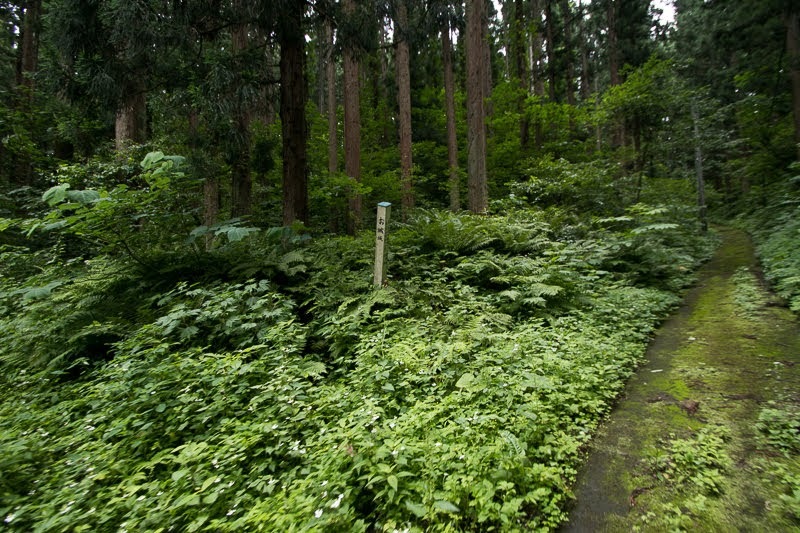 This area is called as “Shinjo“ area, and used as a residence of Kumikawa clan. 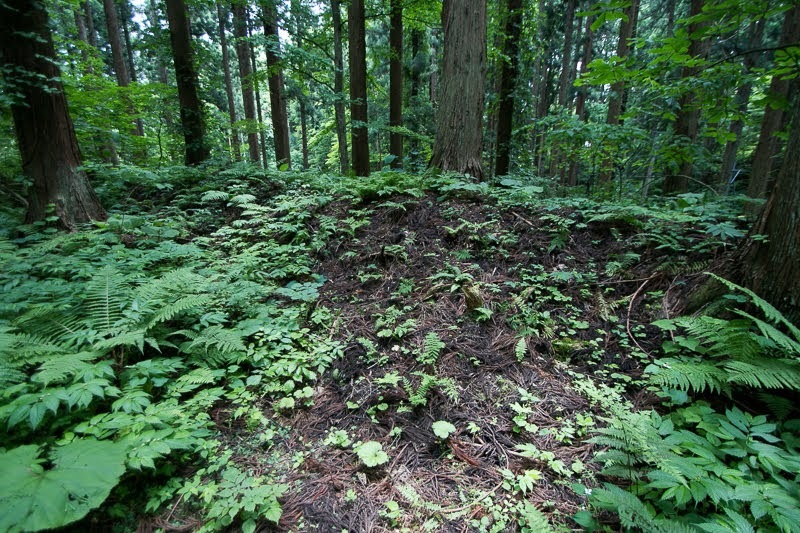 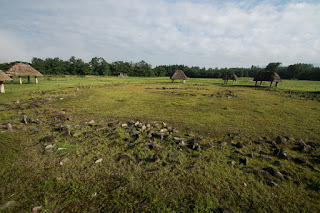 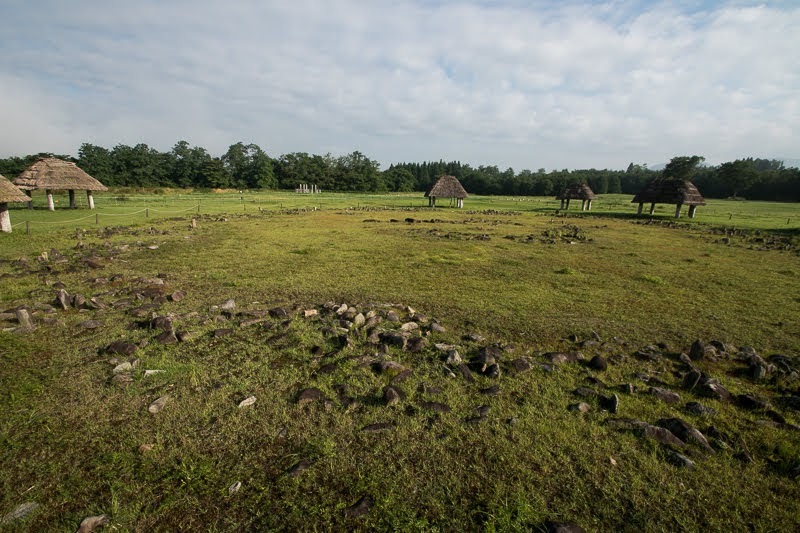 Surrounding these two core areas, several terraces are built which might be used as a residence of retainers. 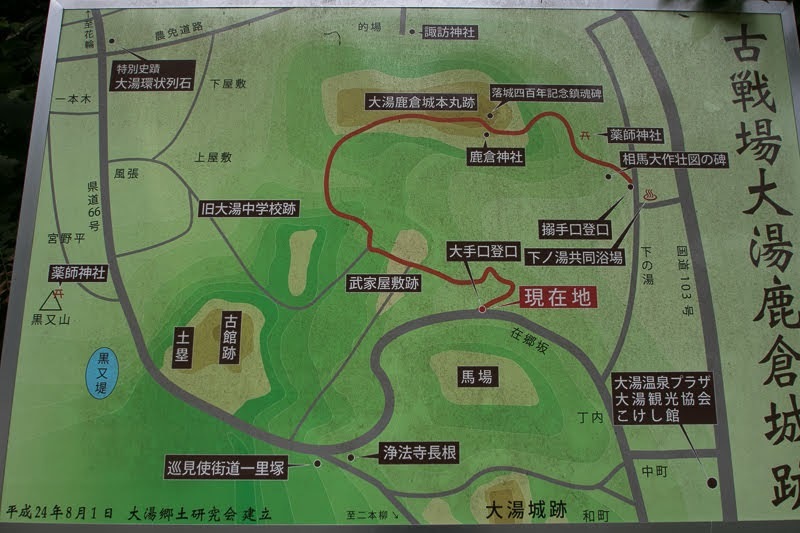 The size of new Oyu castle is about 400 meter long and 200 meter wide, and far larger than old Oyu Kakura castle. 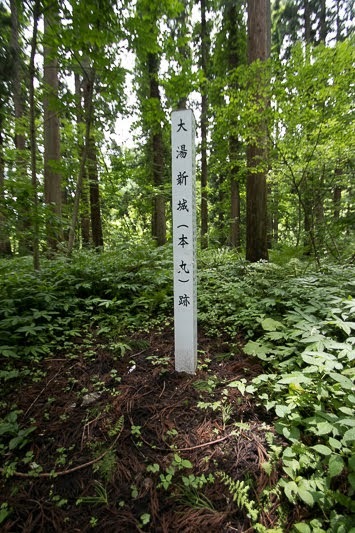 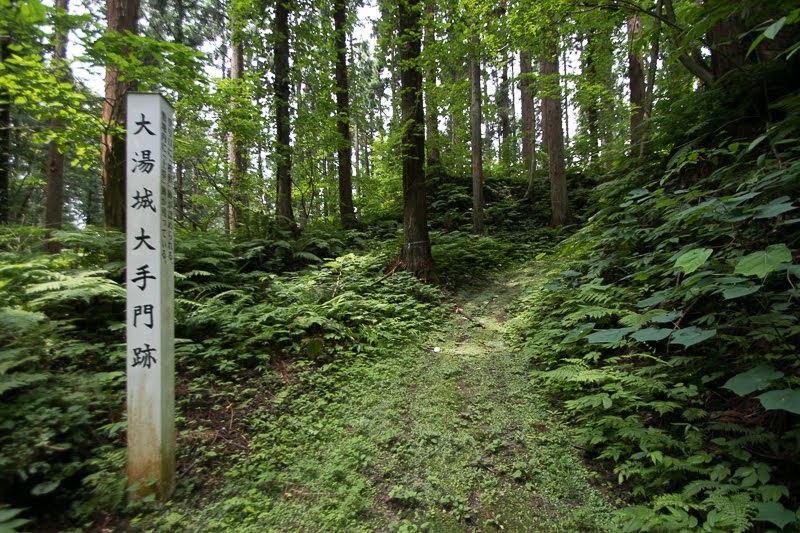 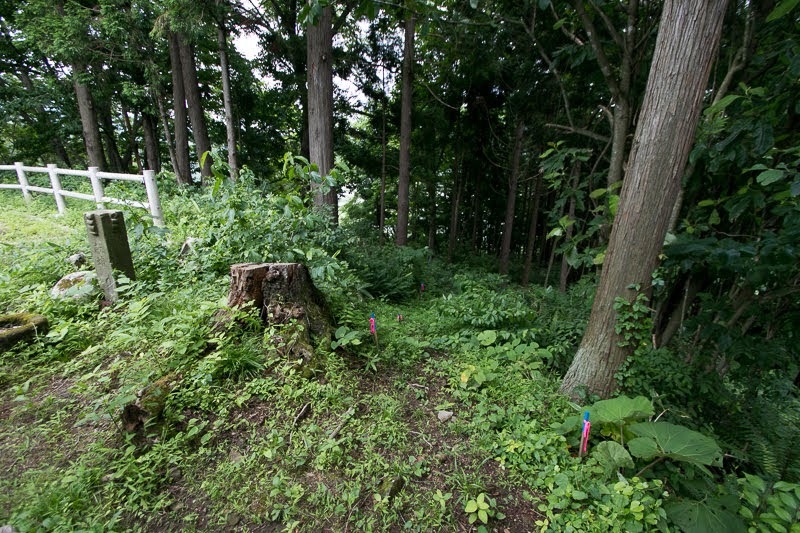 In 1589, when Nanbu clan attacked Odate castle, Oyu clan participated in this army. 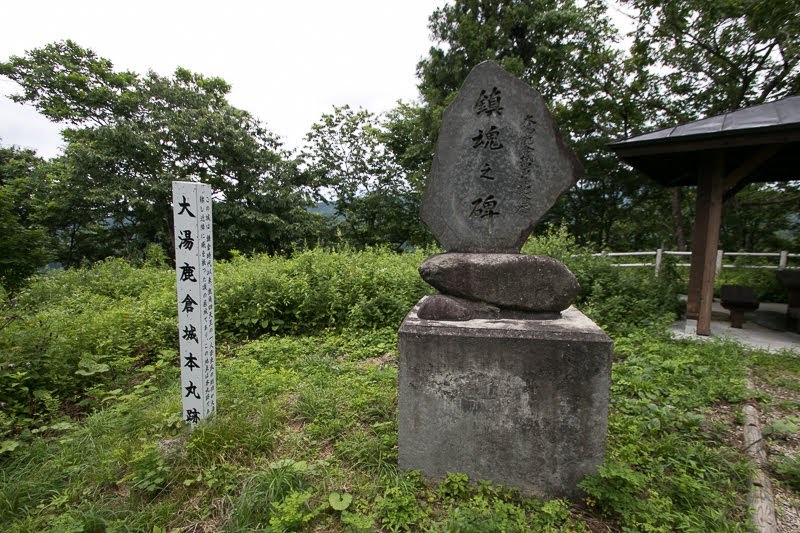 However, at the revolt of Masazane Kunohe (1536-1591), the lord of Kunohe castle (Iwate prefecture) and a major branch family of Nanbu clan but dissatisfied with the succession of Nanbu clan by Nobunao Nanbu (1546-1599), revolted against main family of Nanbu clan in 1591. At this battle, Oyu clan separated into both side, considering continuation of the clan. 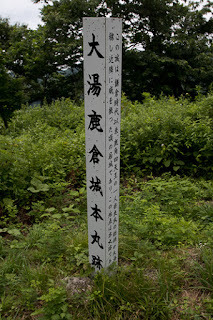 Masatsugu Oyu (?-1591) who belonged to Masazane Kunohe besieged at Oyu Kakura castle but was attacked by Nanbu army then escaped to Kunohe castle. 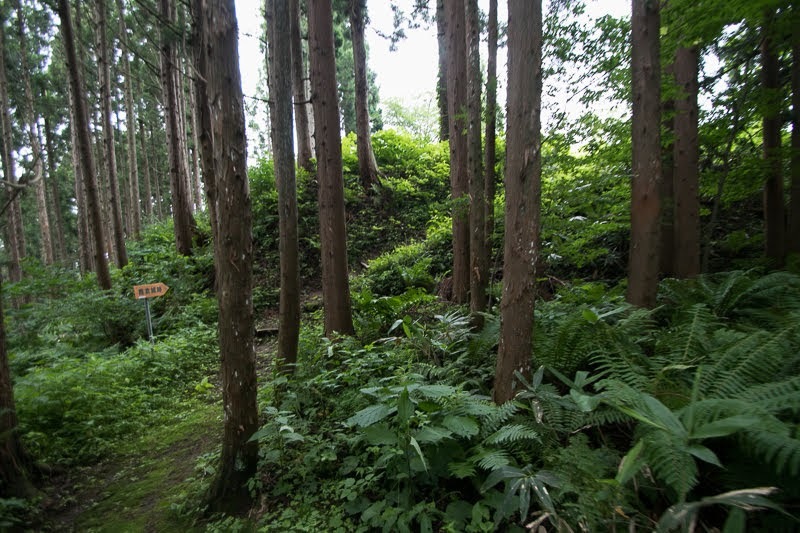 But Kunohe castle also fell by overwhelming army of central ruler Hideyoshi Toyotomi (1537-1598) which supported Nanbu clan, then Masatsugu Oyu was executed along with Masazane Kunohe and other generals. 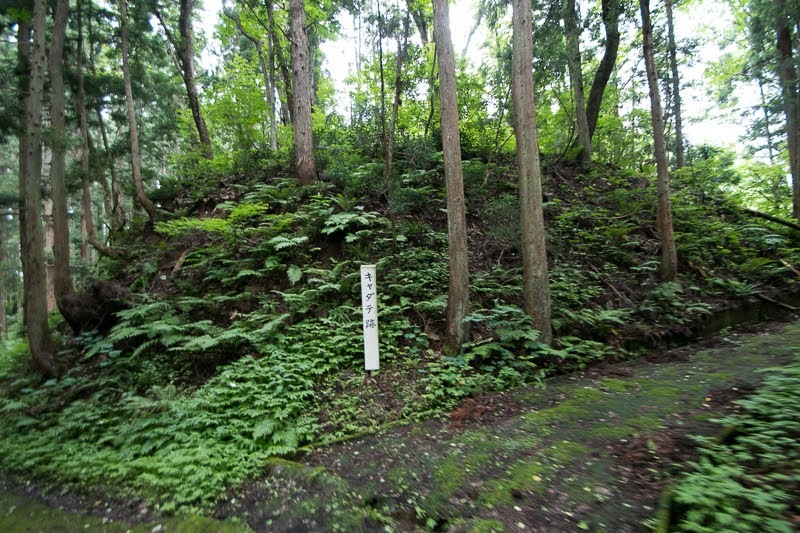 After the cease of the battle Nanbu clan abolished many castles under the order of Toyotomi government, but Oyu castle was kept as military camp of the area. 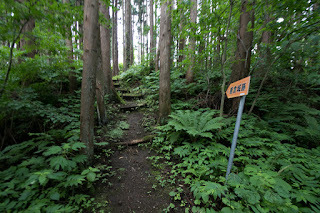 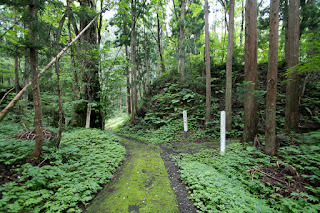 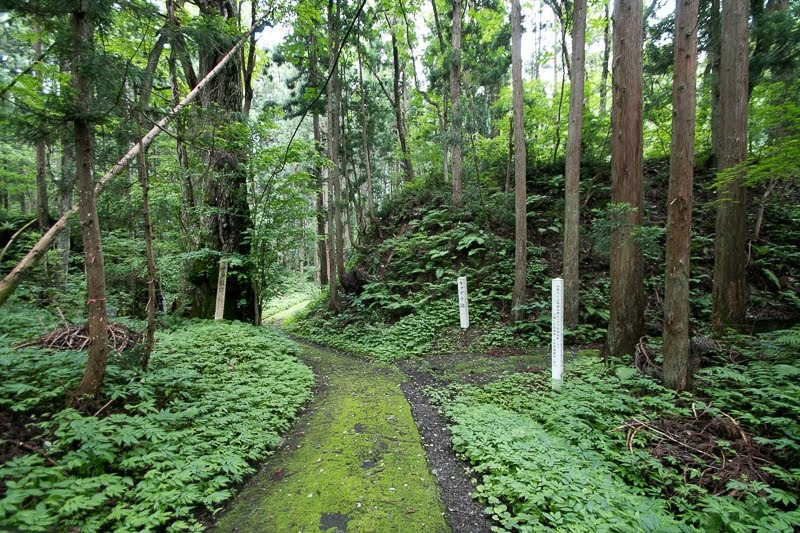 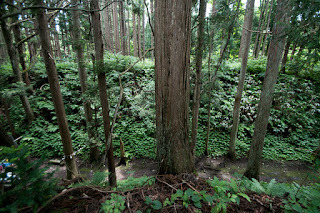 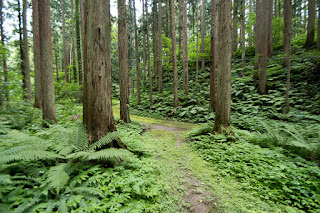 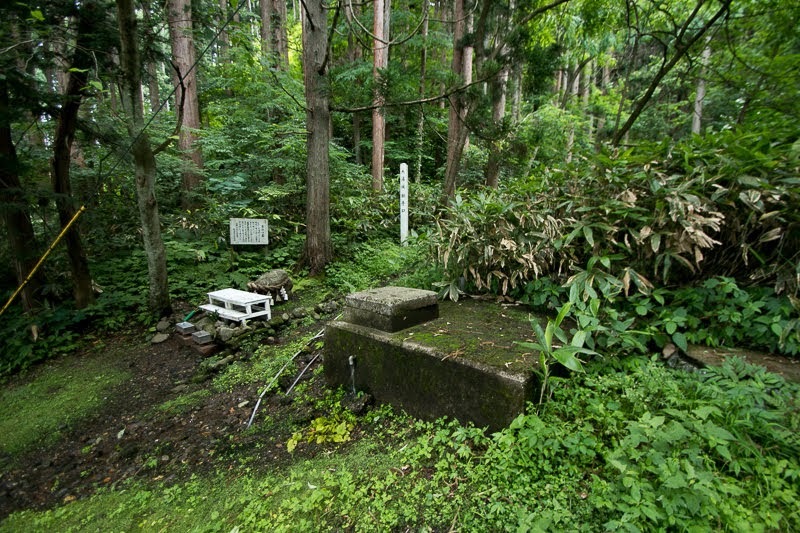 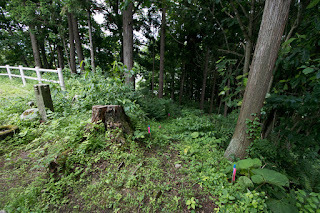 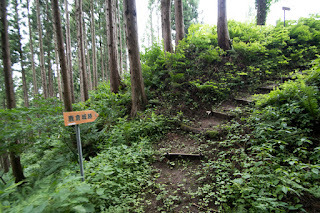 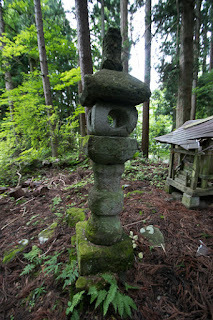 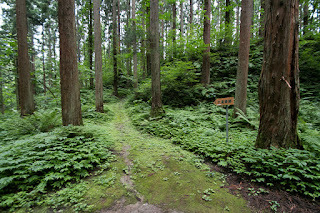 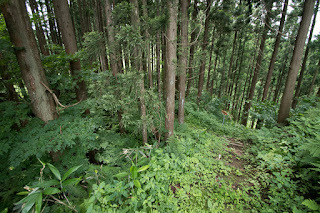 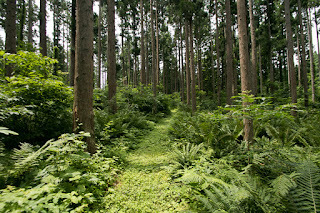 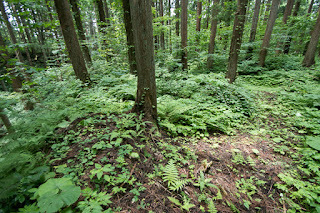 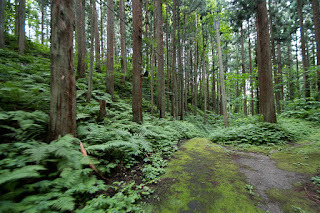 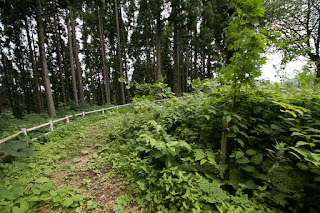 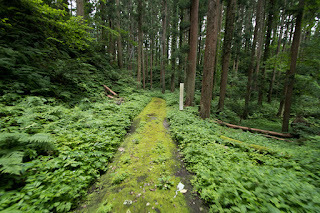 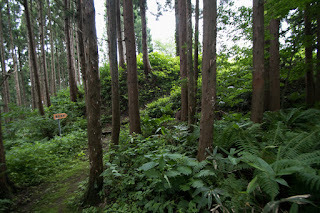 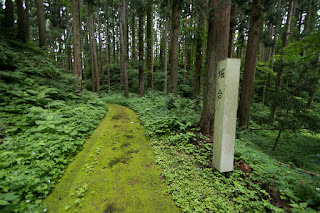 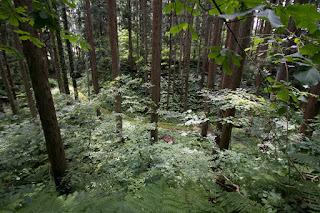 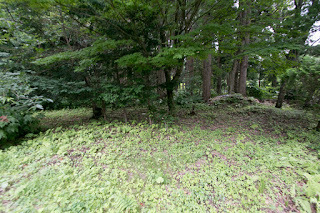 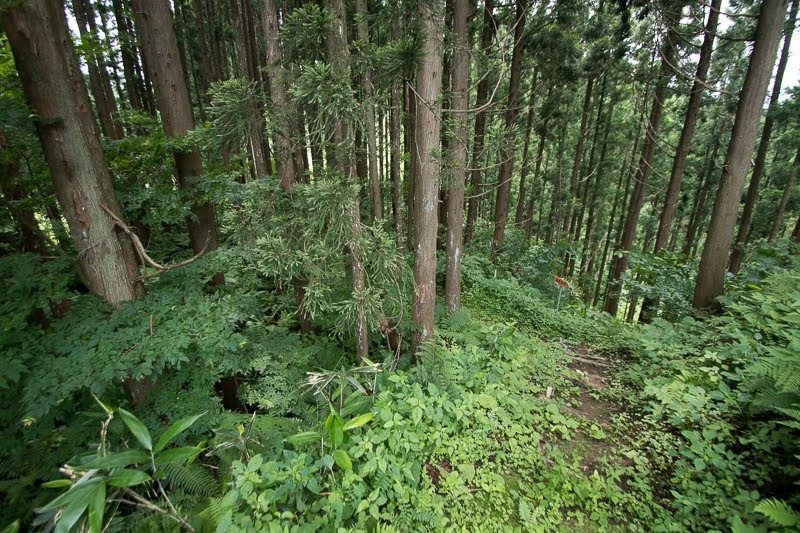 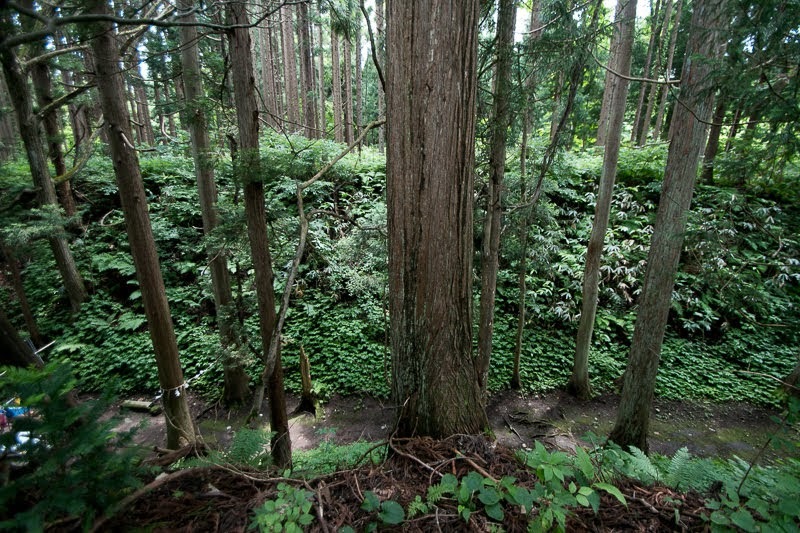 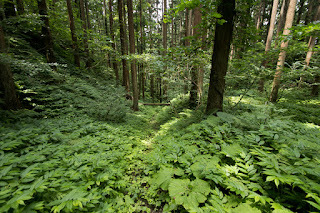 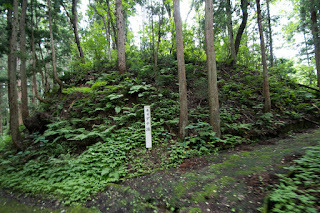 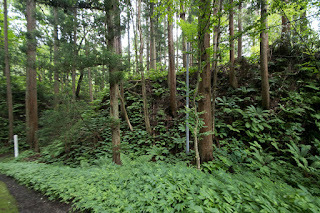 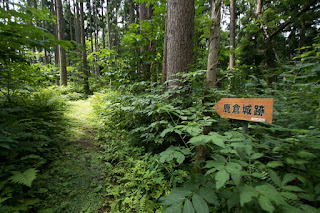 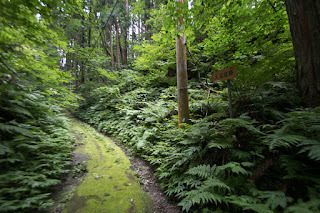 Oyu clan kept Oyu castle about 100 years but extinct, and Oyu castle was kept by the end of Edo era changing its lords. 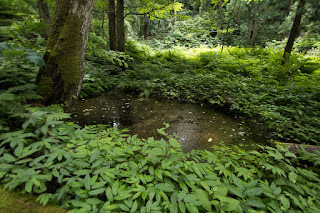 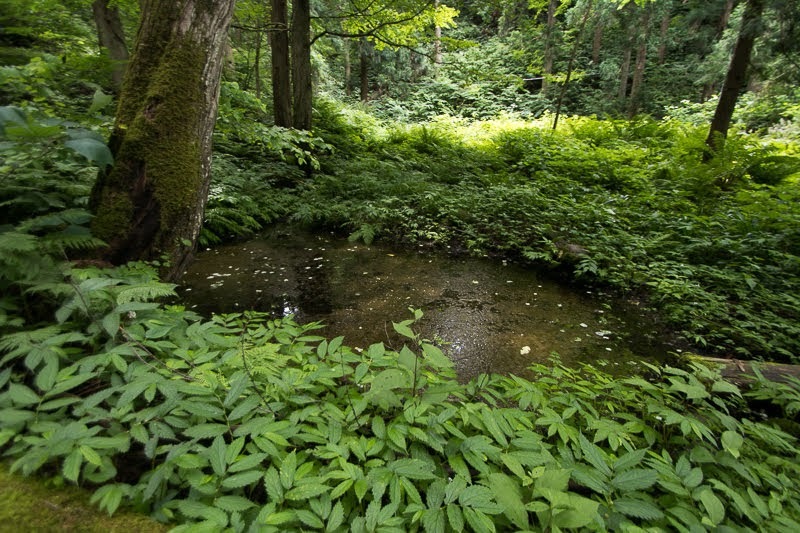 Oyu spa was used for the rest space of Nanbu clan. 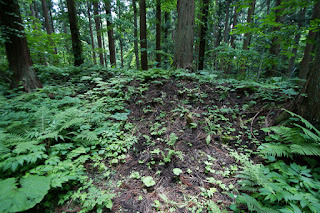 Now all building was lost but structure of the castle being separated by deep dry moat well remain on the plateau. Well prepared flat large areas and deep dry moats show an importance of Oyu castle to Nanbu clan as a regional base, not a mere base of retainer. 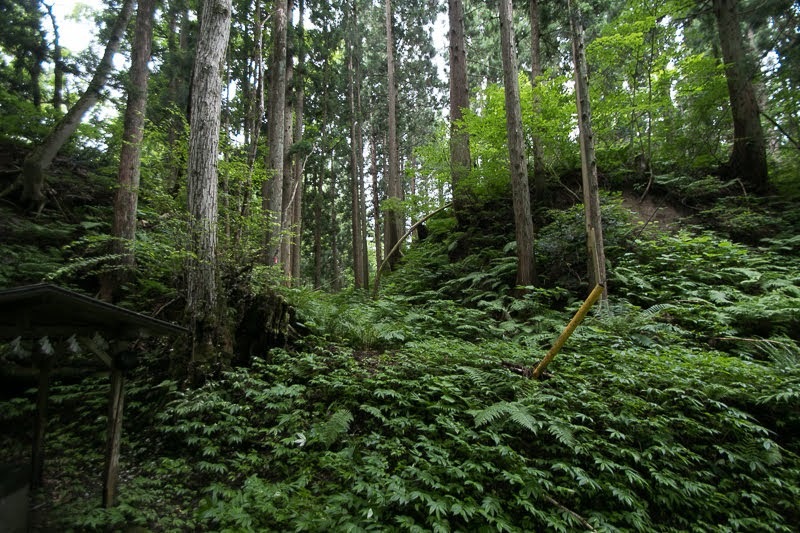 Scenery of Oyu town had significantly changed from medieval era, but castle site unchanged looked down gushing hot spa as before. 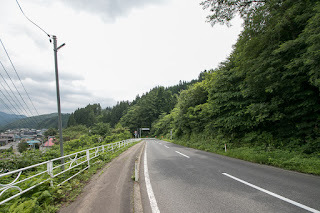 Bus from JR East Hanawa line Minami-Towada station to Oyu Onsen. 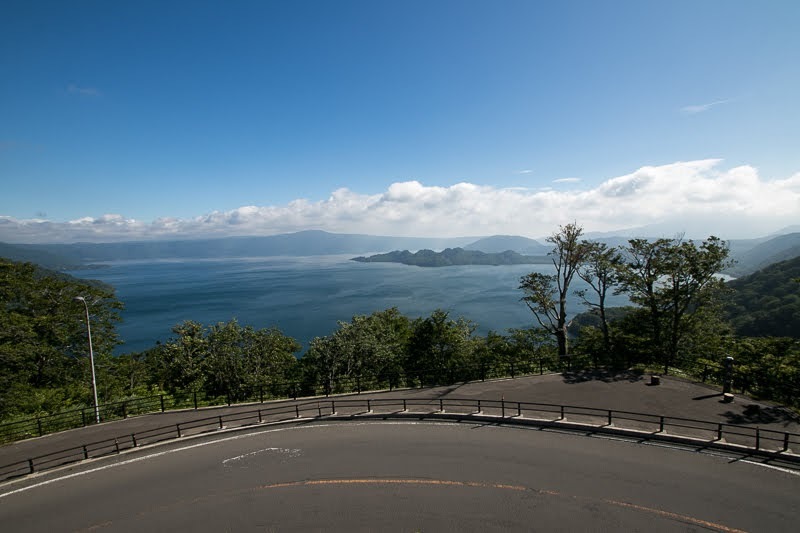 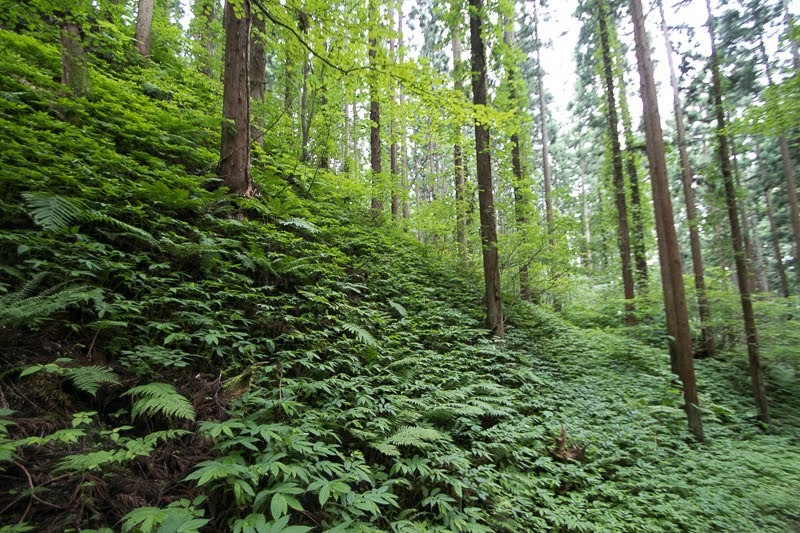 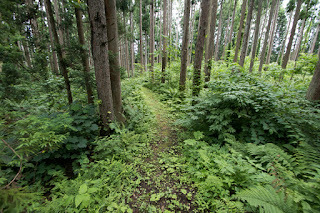 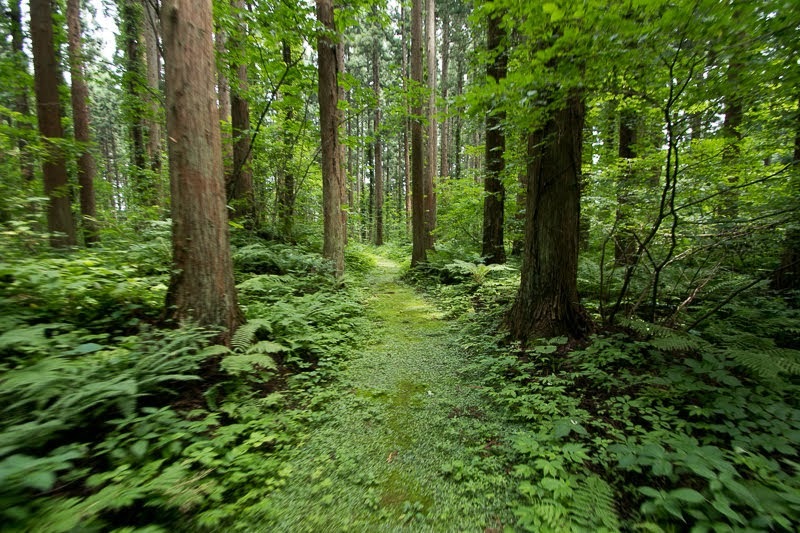 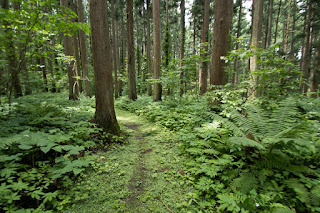 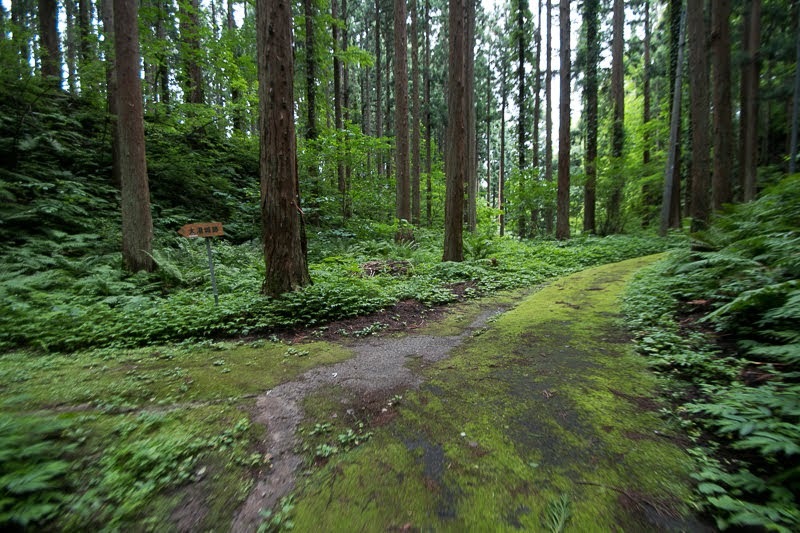 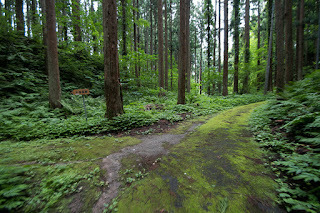 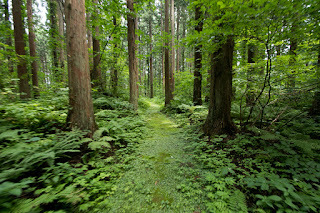 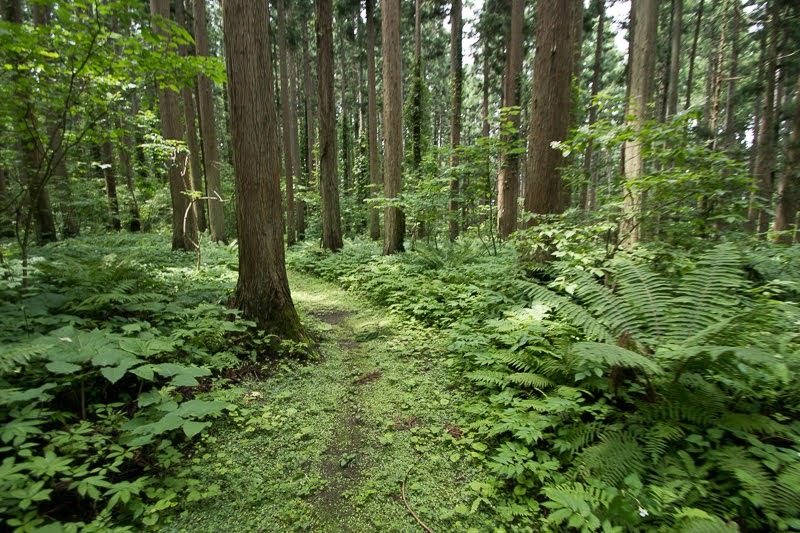 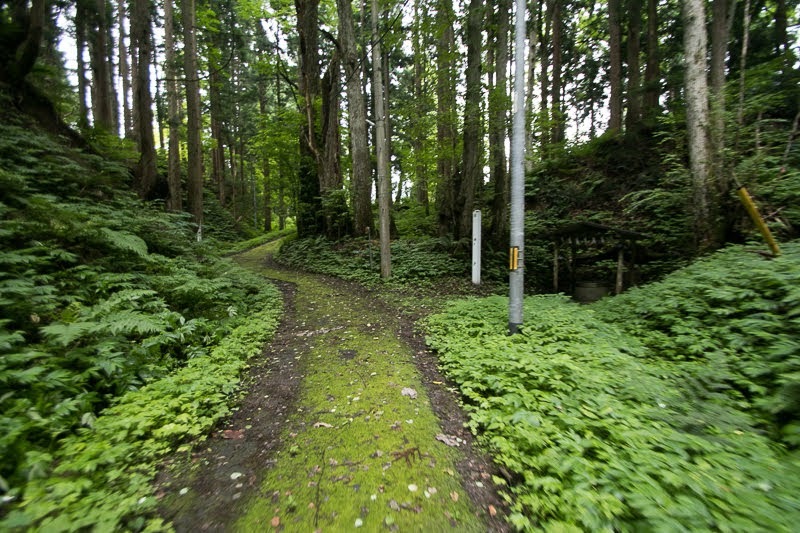 20 minutes drive from Tohoku Jidoshado Expressway Towada interchange.